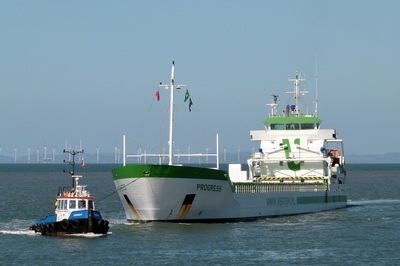 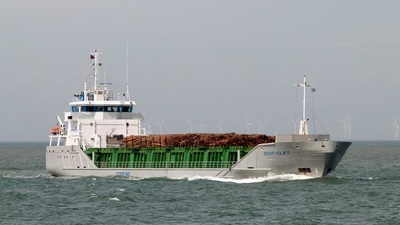 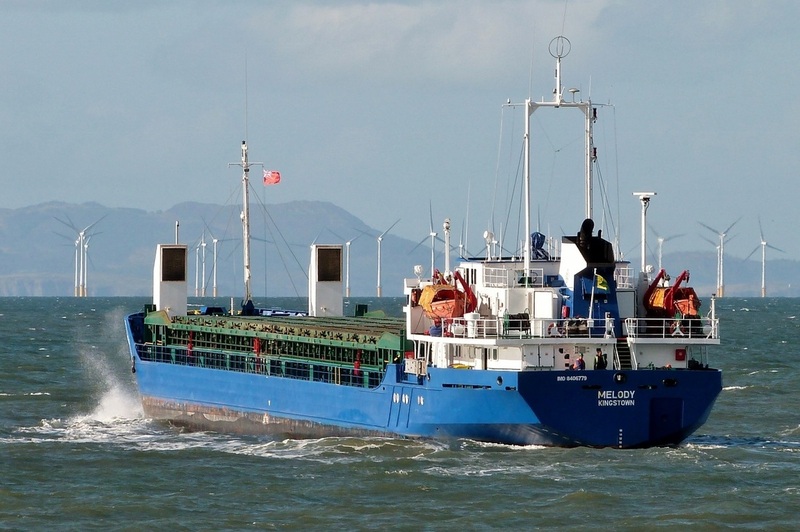 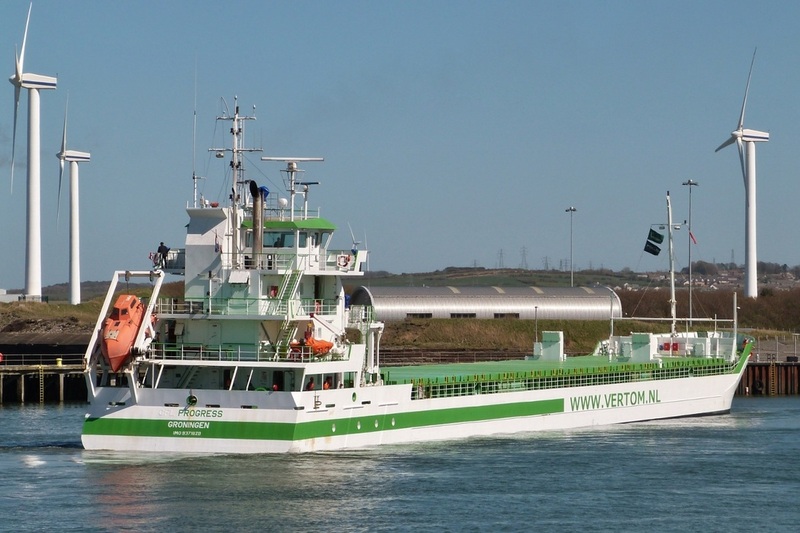 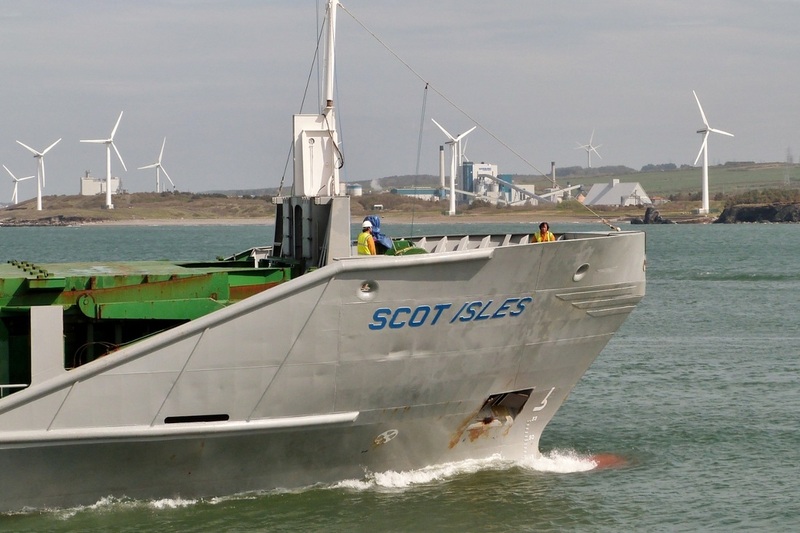 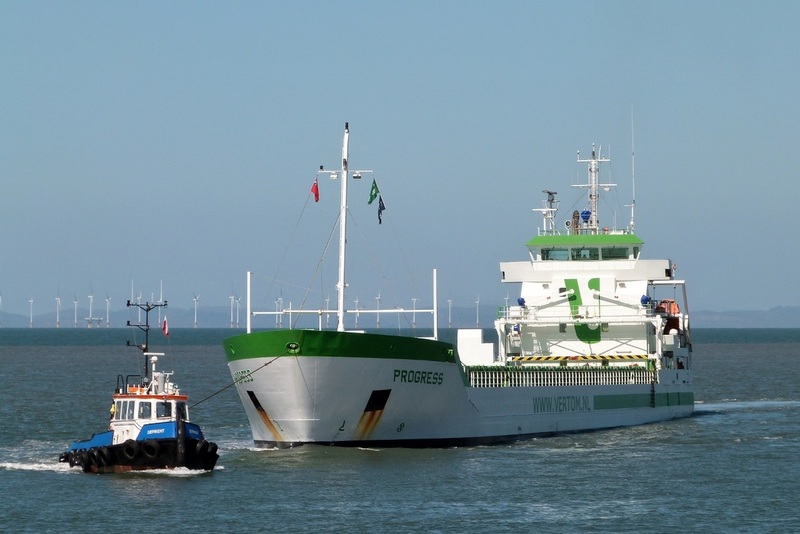 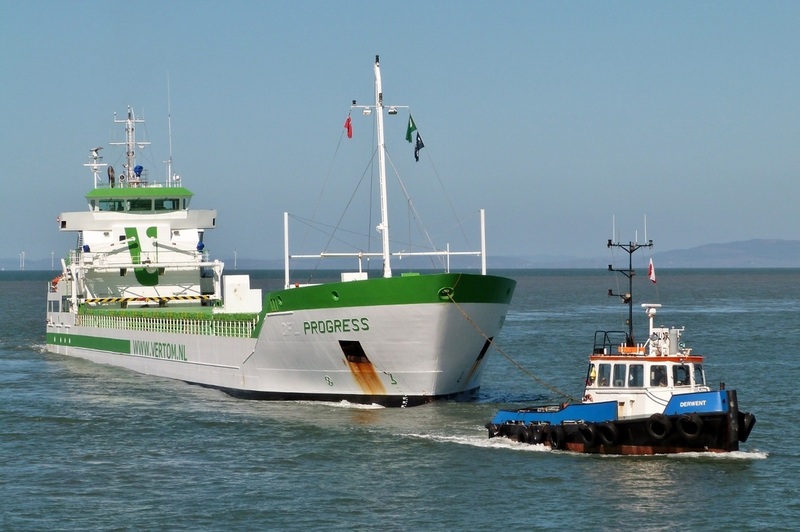 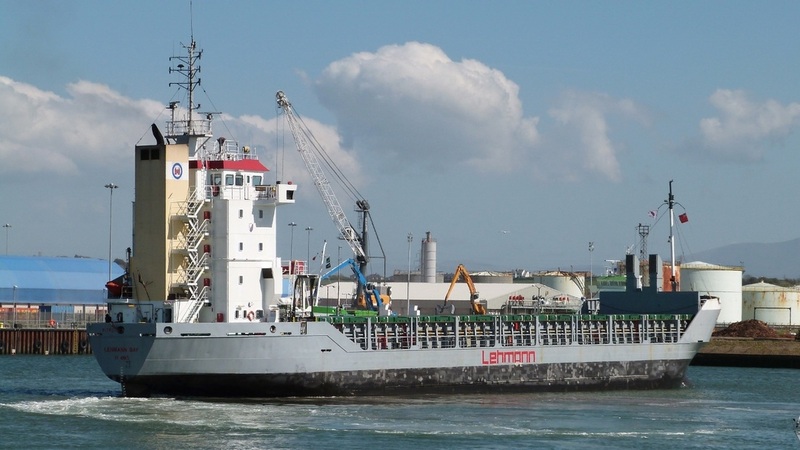 ​Inbound from Les Sables d'Olonne to collect baled waste ​for export to Latvia where it is used in power generation. 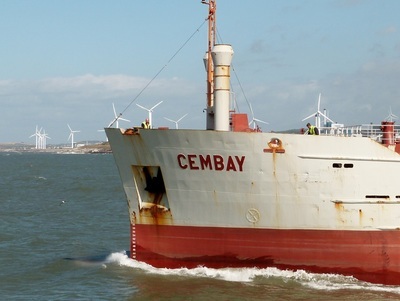 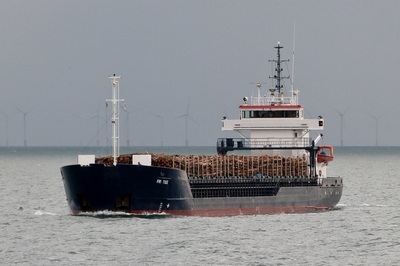 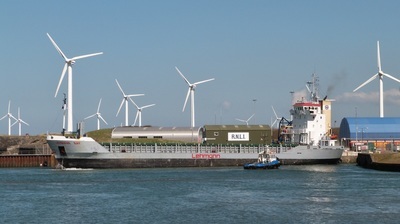 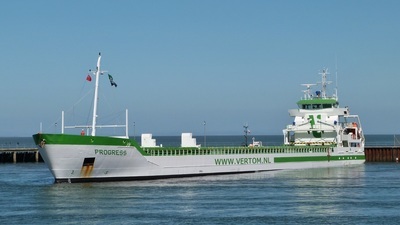 Inbound from Vlissingen with bales of bleached wood pulp. 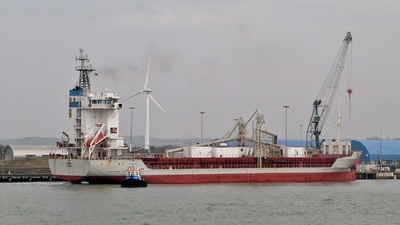 Inbound with gypsum from Garrucha, Spain. ​Outbound for Liepaja, Latvia with baled recycled waste for use in power generation. 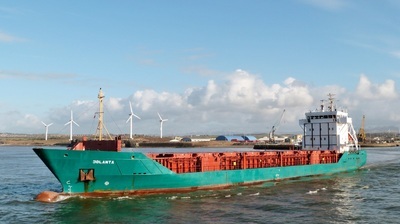 Outbound for Dublin in ballast. 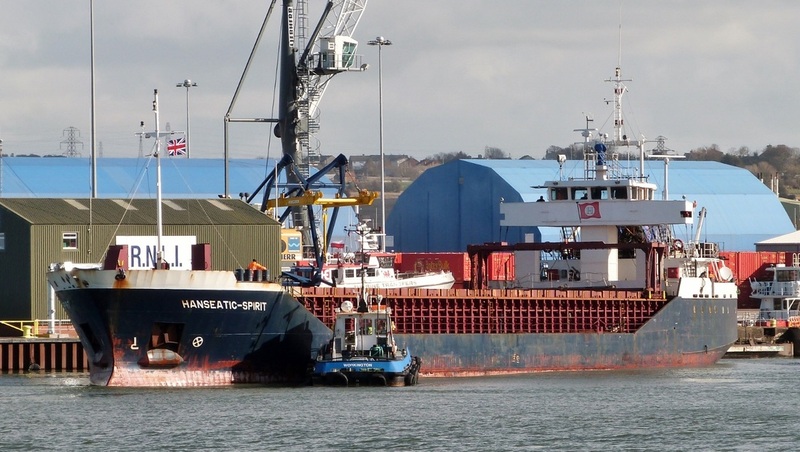 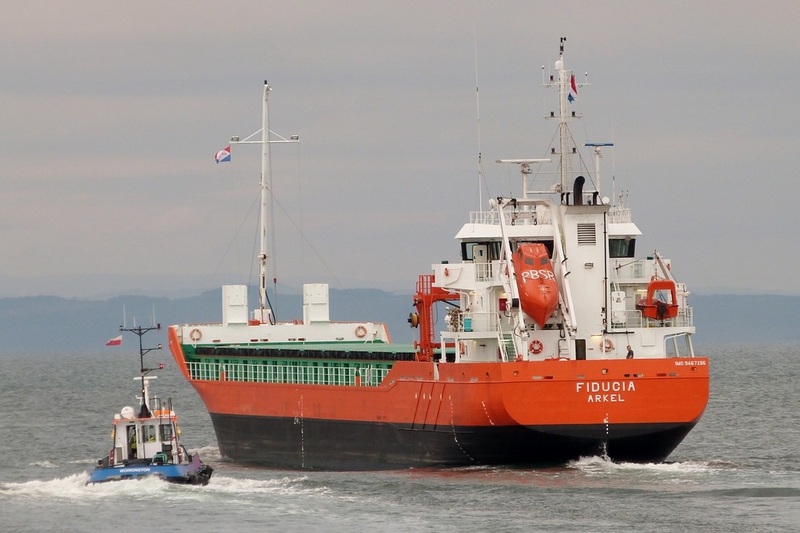 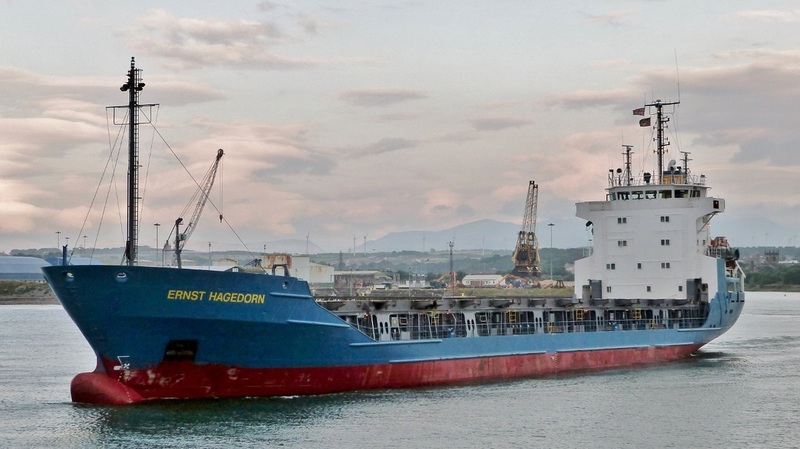 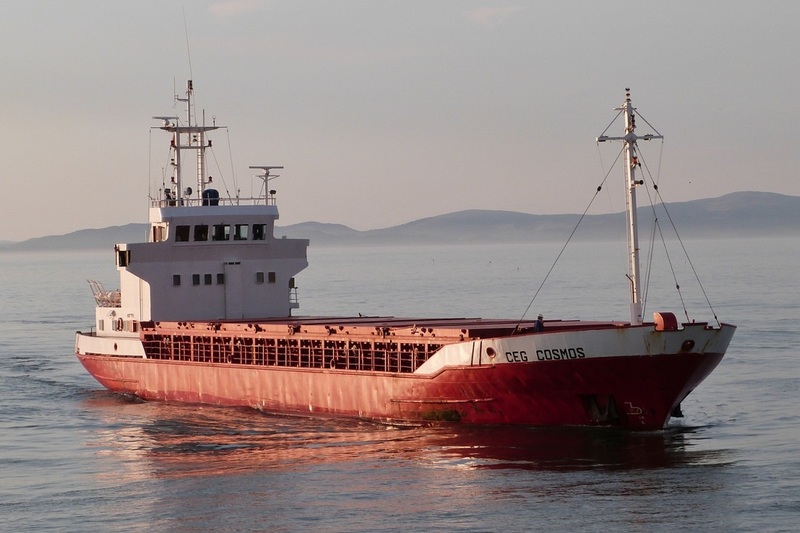 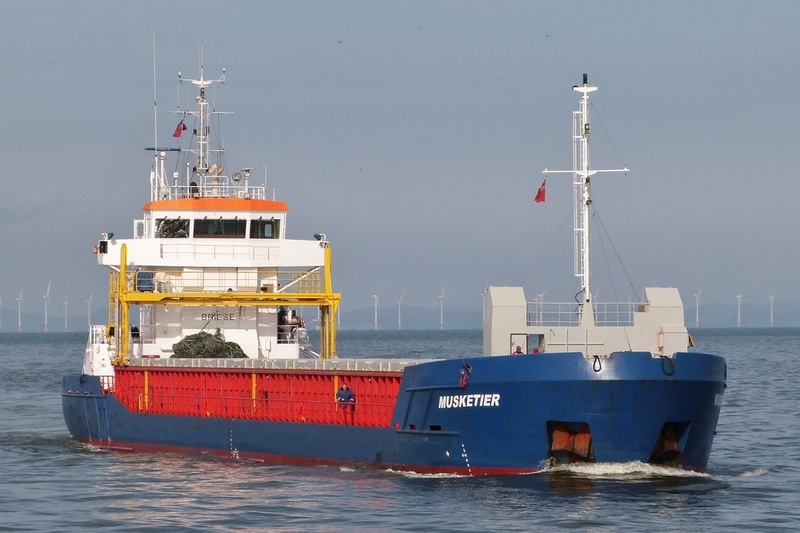 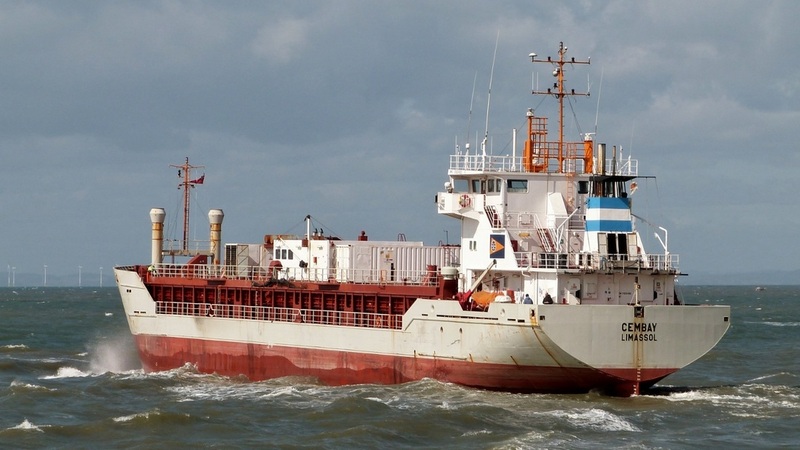 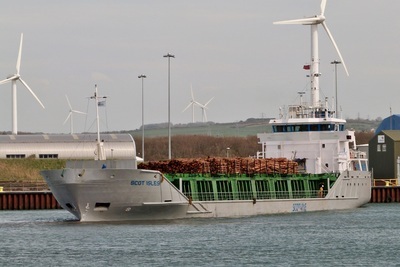 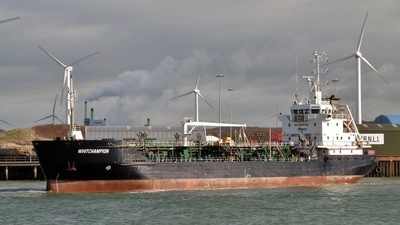 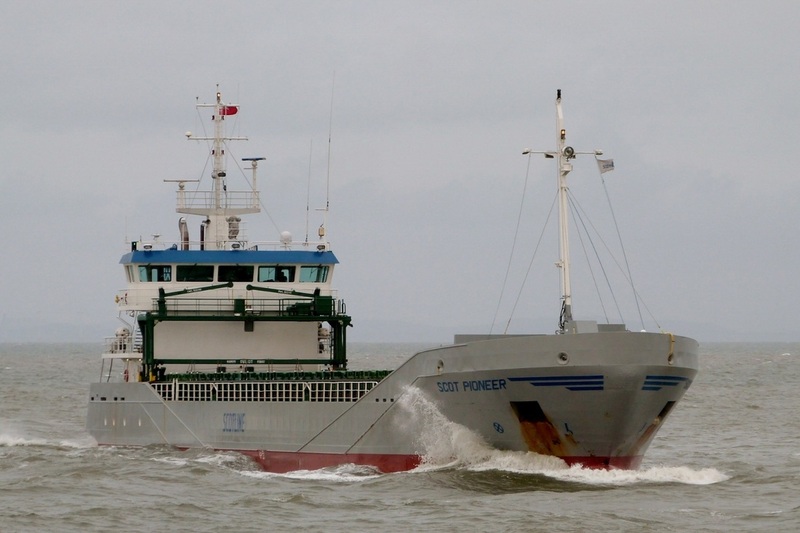 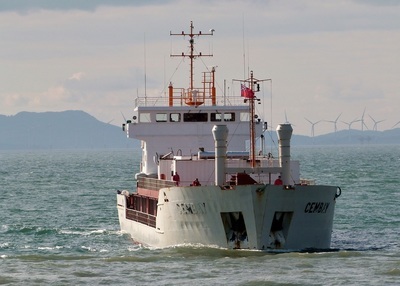 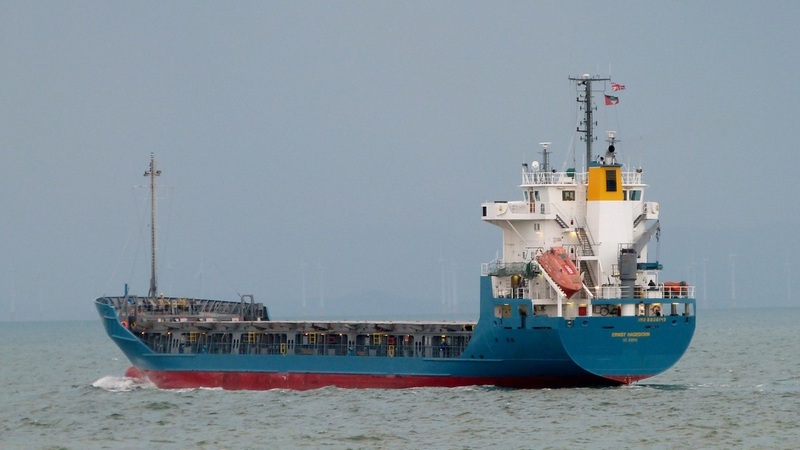 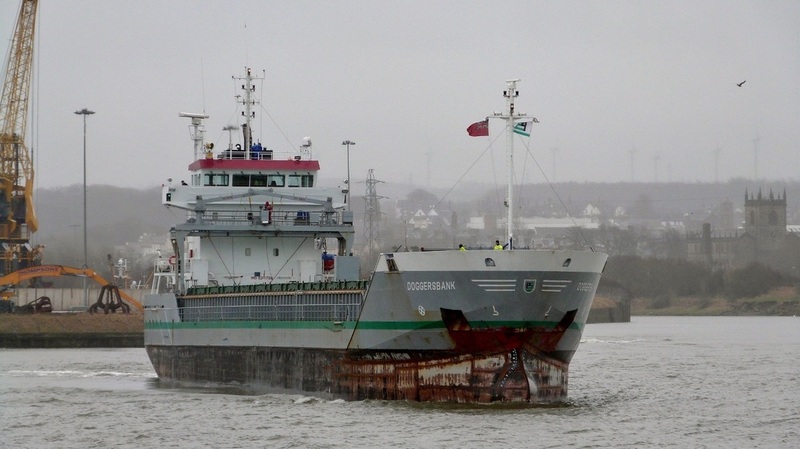 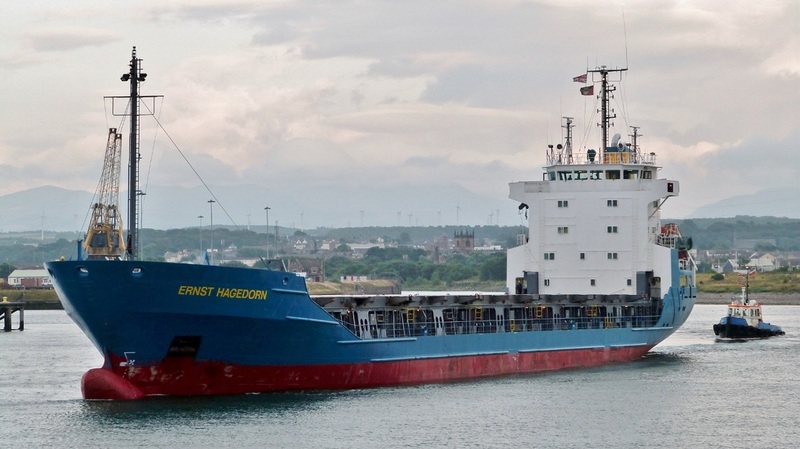 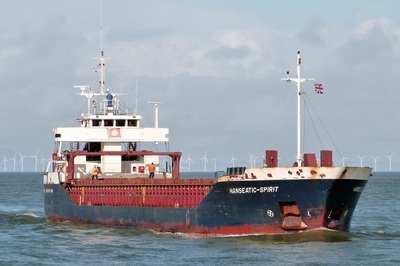 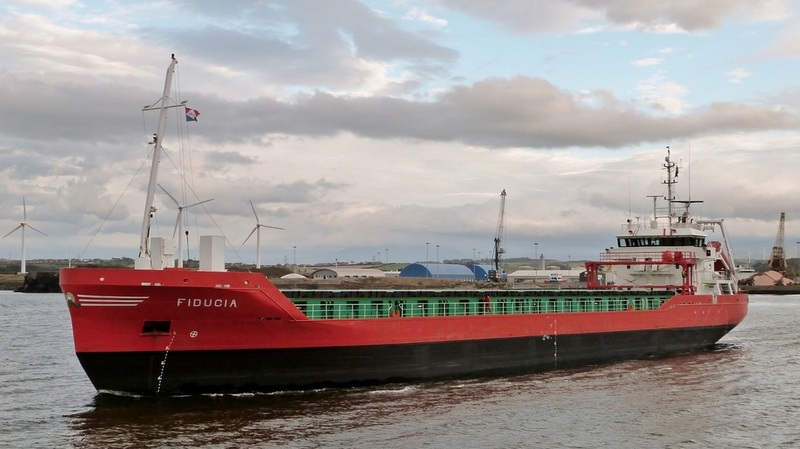 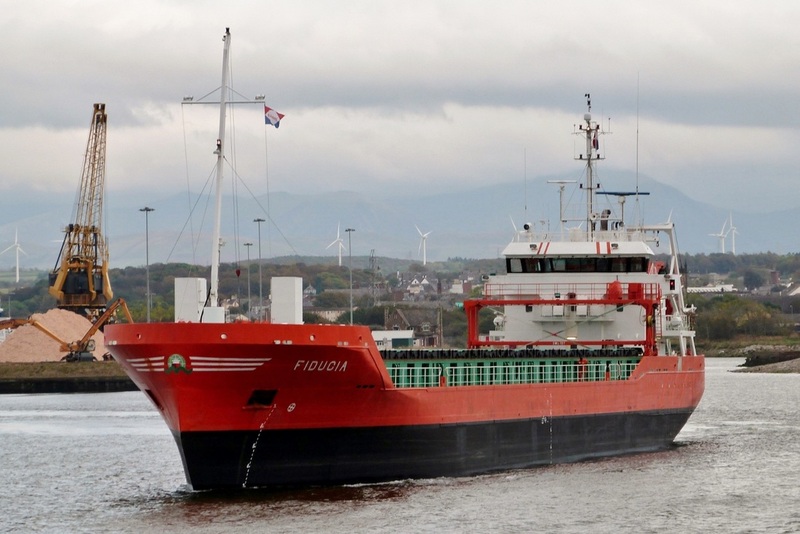 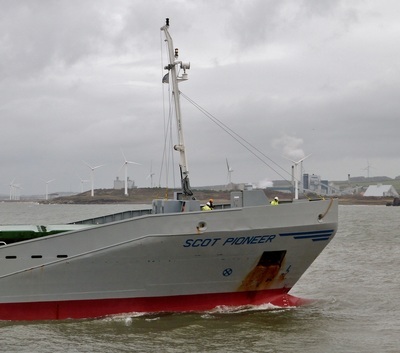 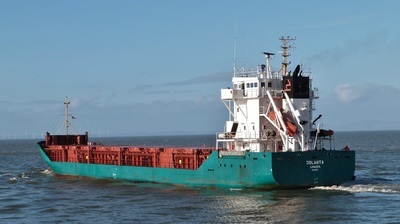 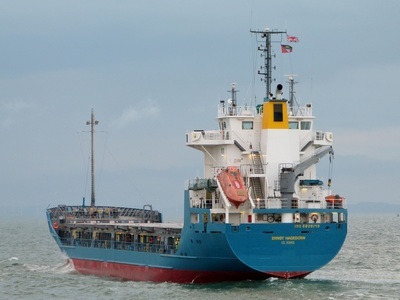 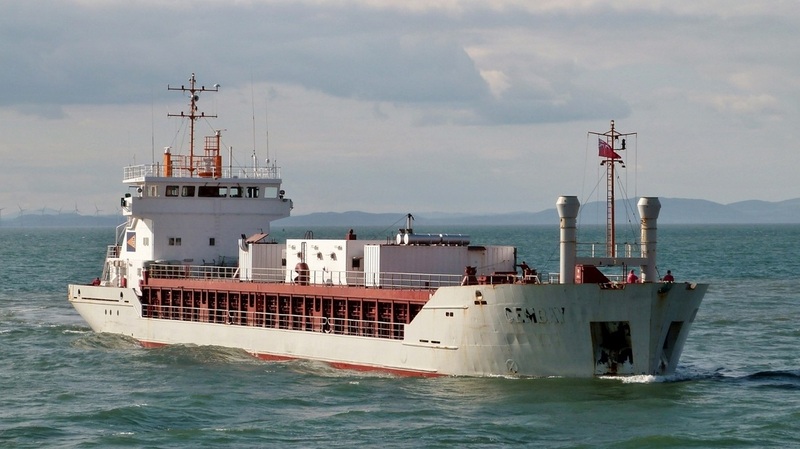 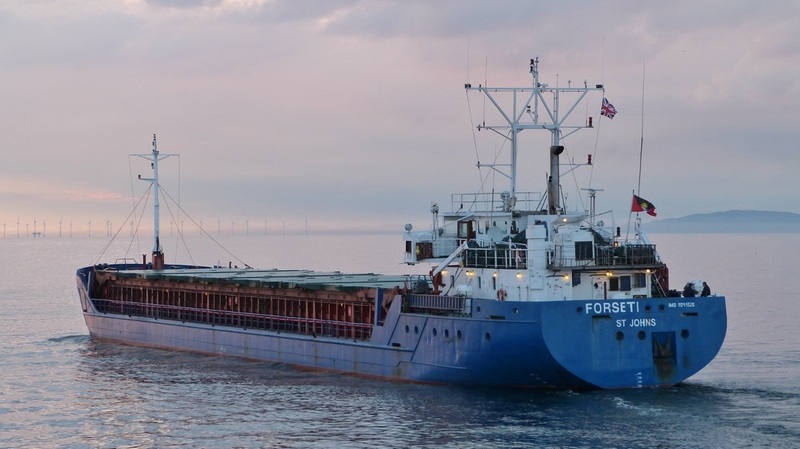 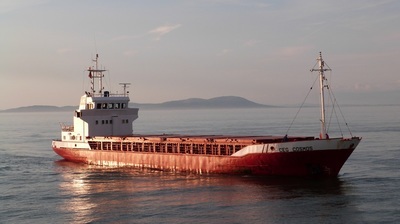 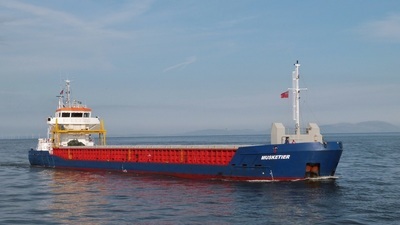 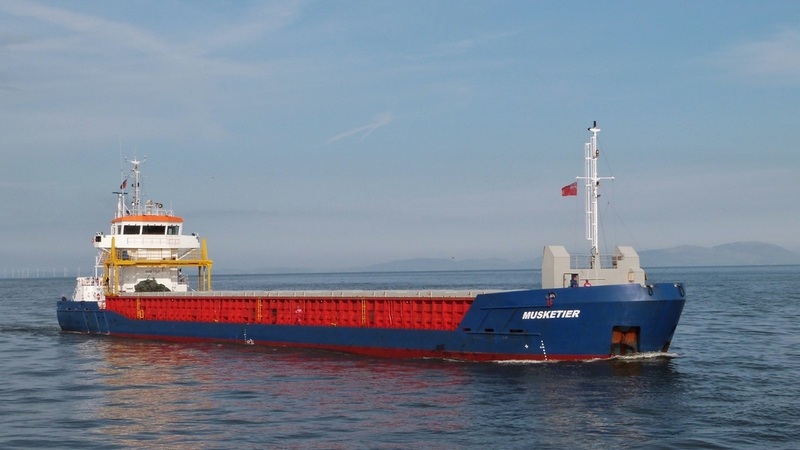 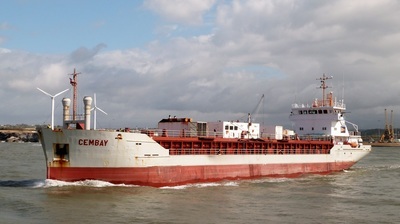 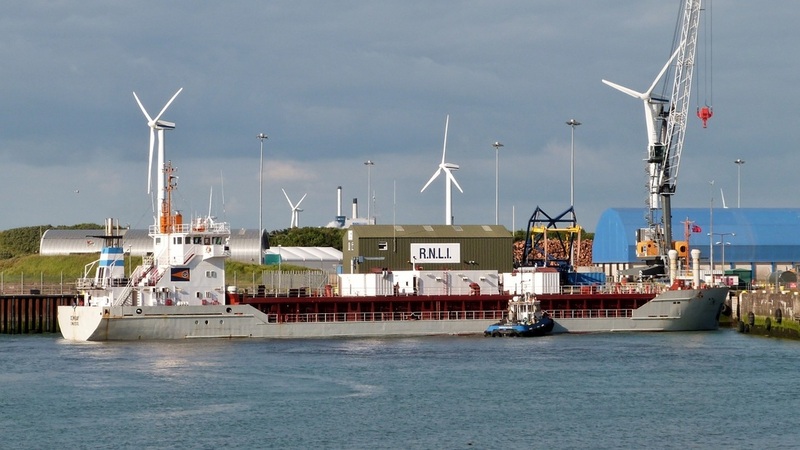 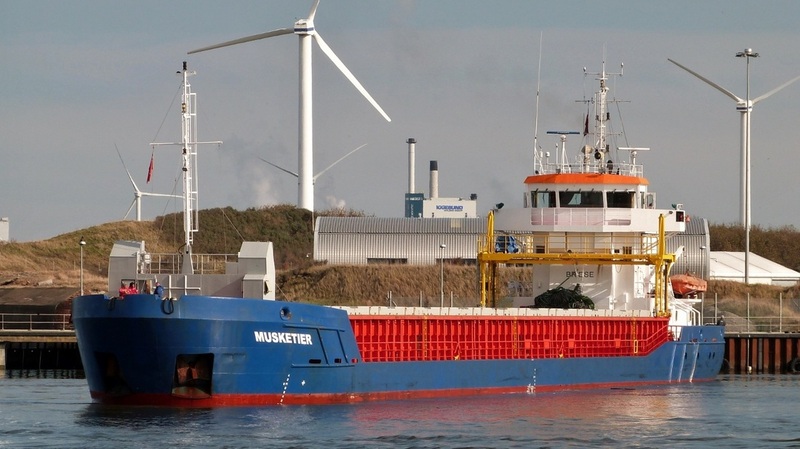 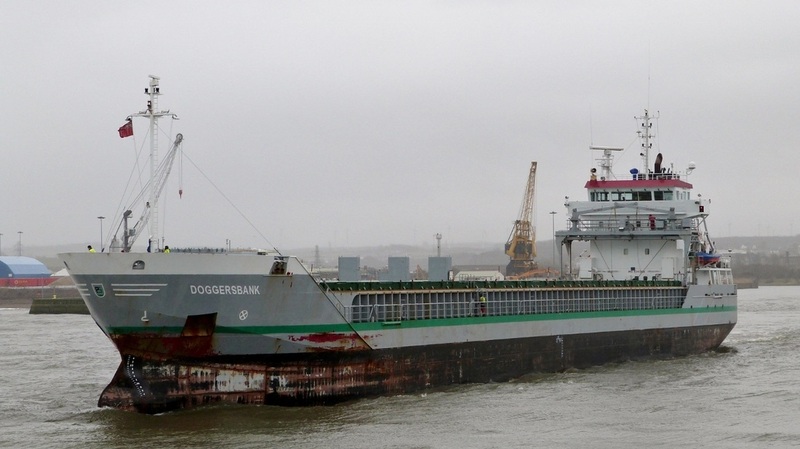 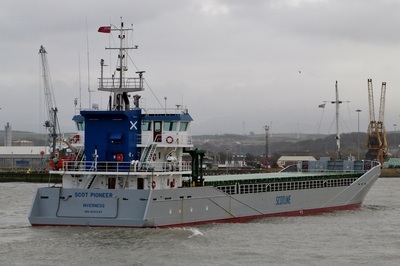 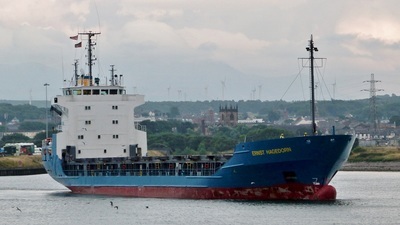 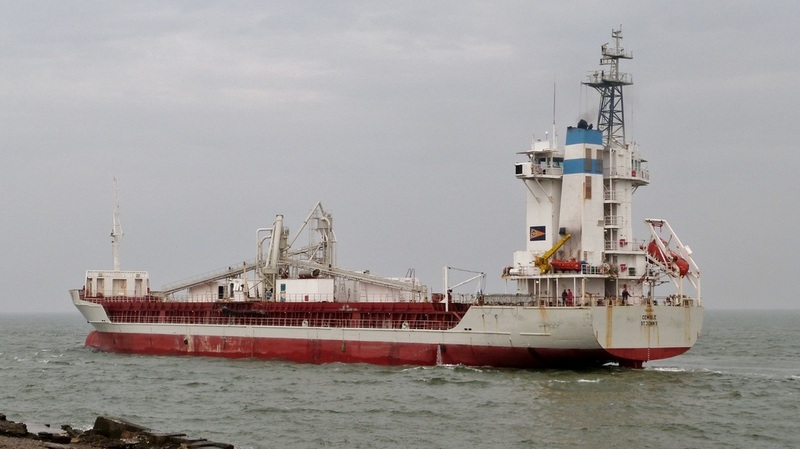 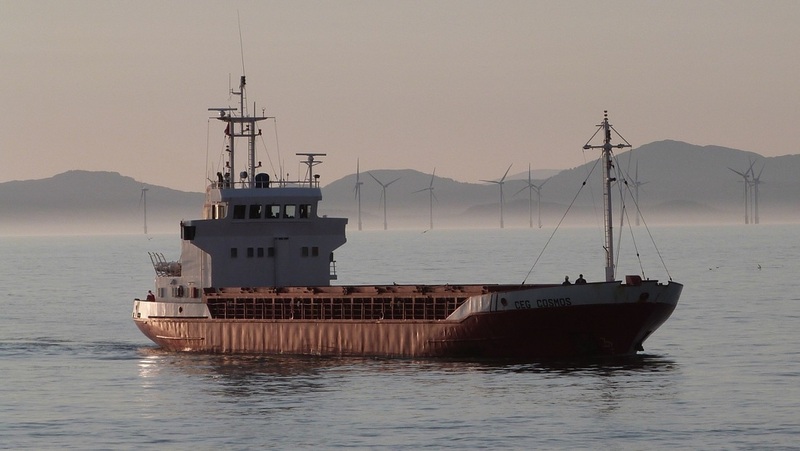 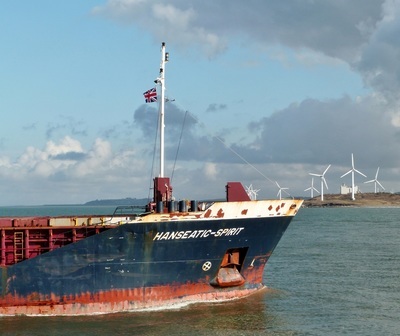 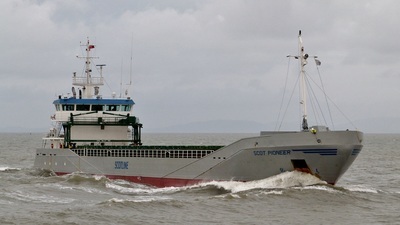 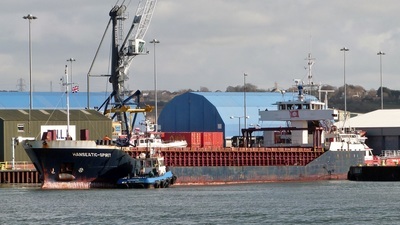 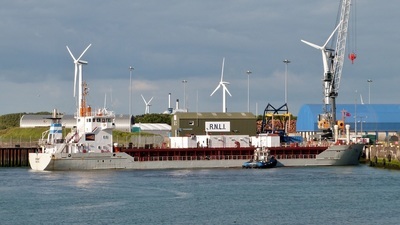 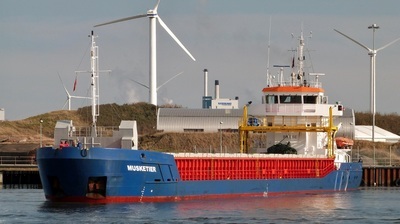 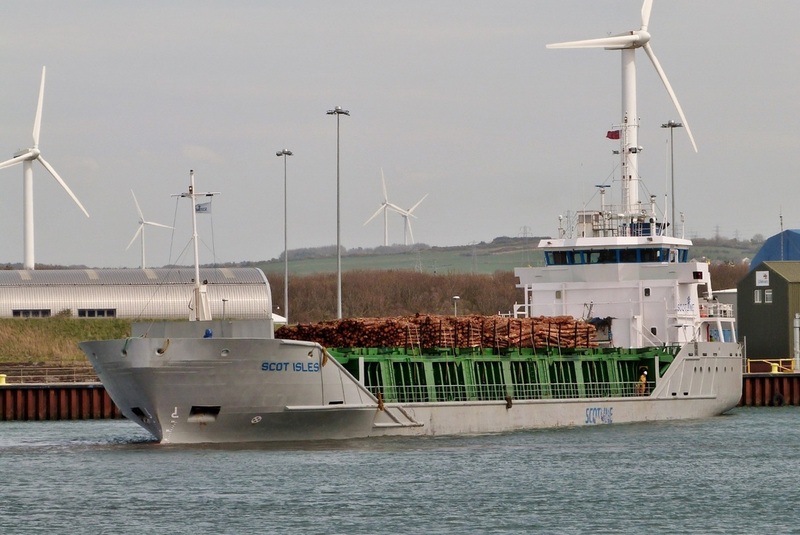 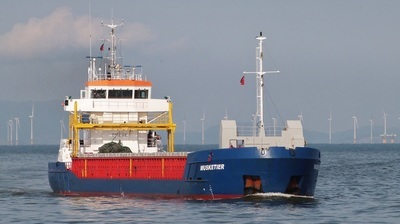 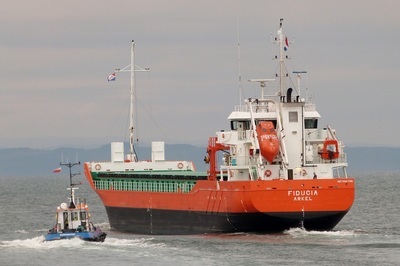 Inbound with rapeseed from Dieppe, France. 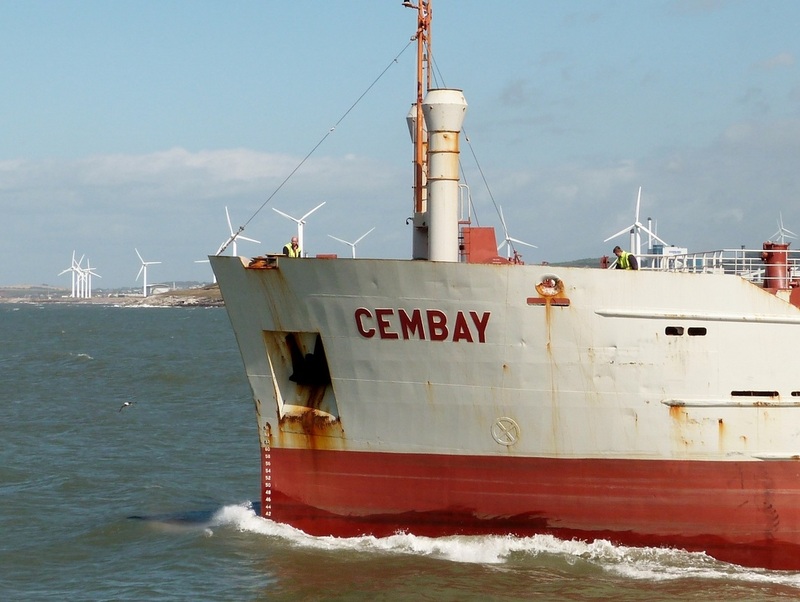 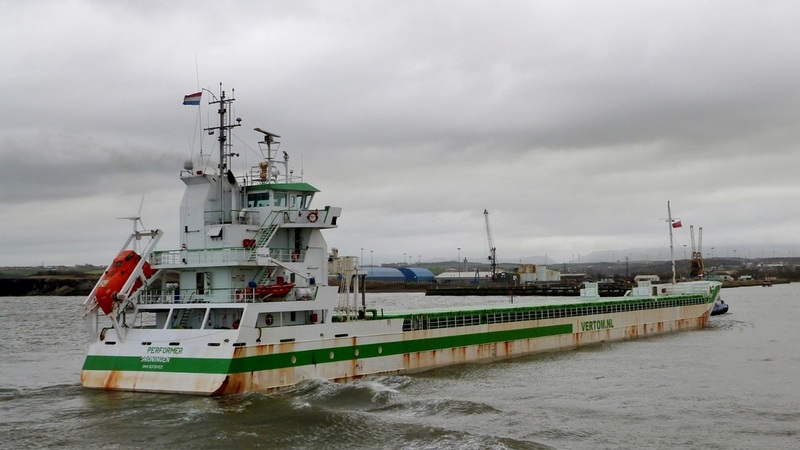 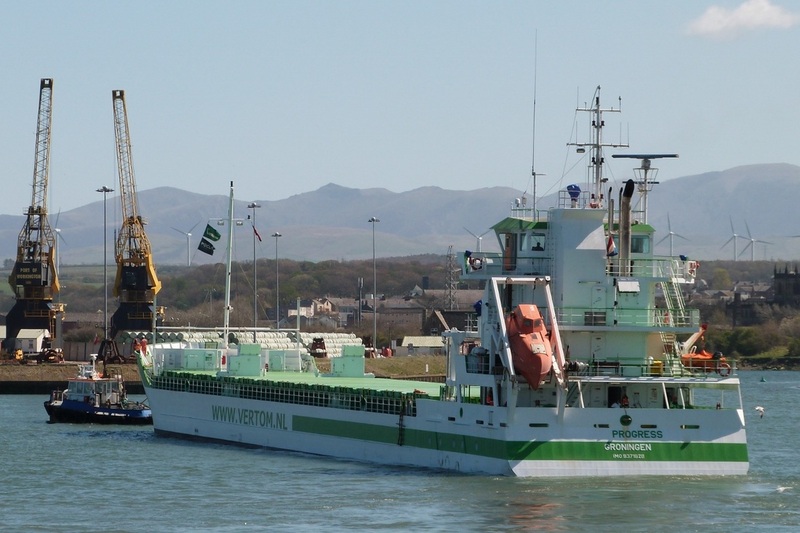 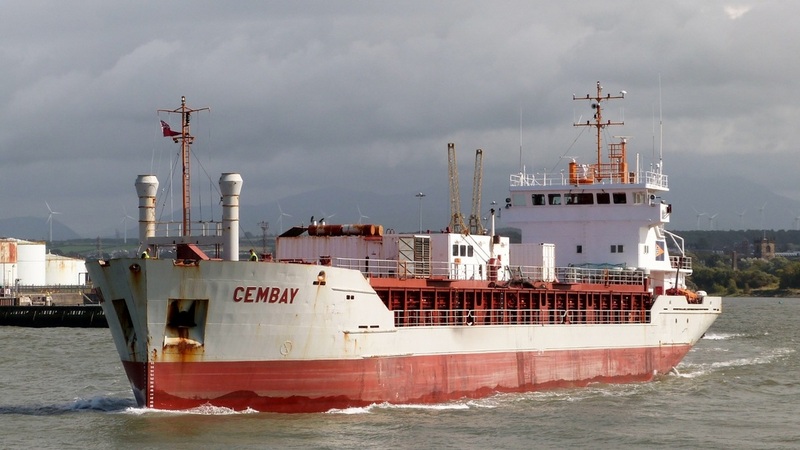 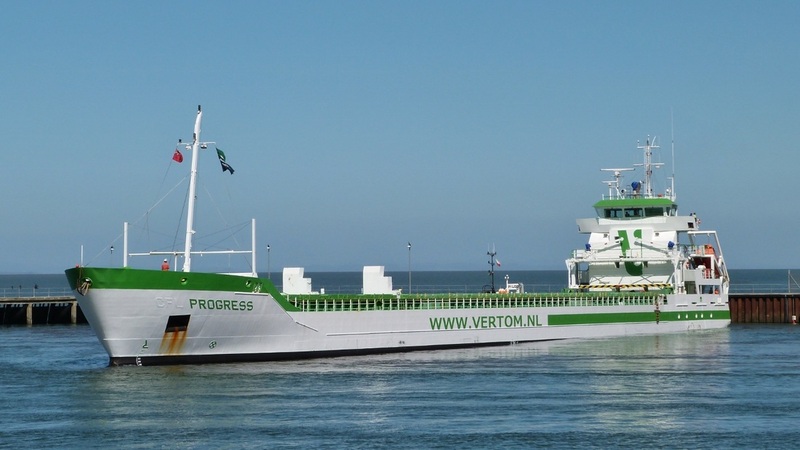 Outbound for Campbeltown after unloading ​bleached wood pulp from Vlissingen. 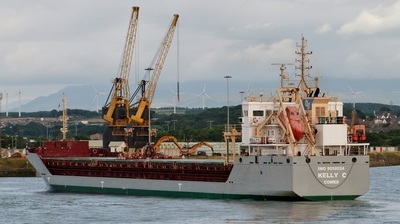 The cement carrier outbound for Belfast in ballast. ​Outbound for Liepaja, Latvia, with baled waste as the evening light begins to fade. 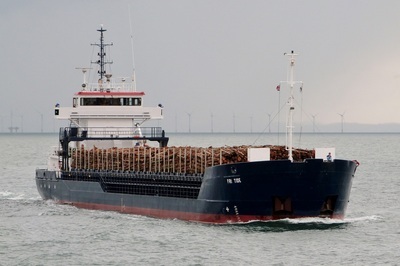 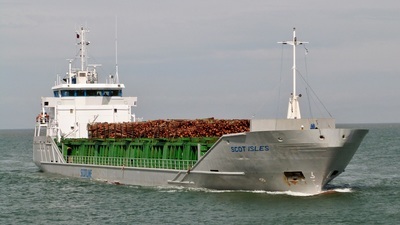 Inbound with timber from Sandbank, Holy Loch. 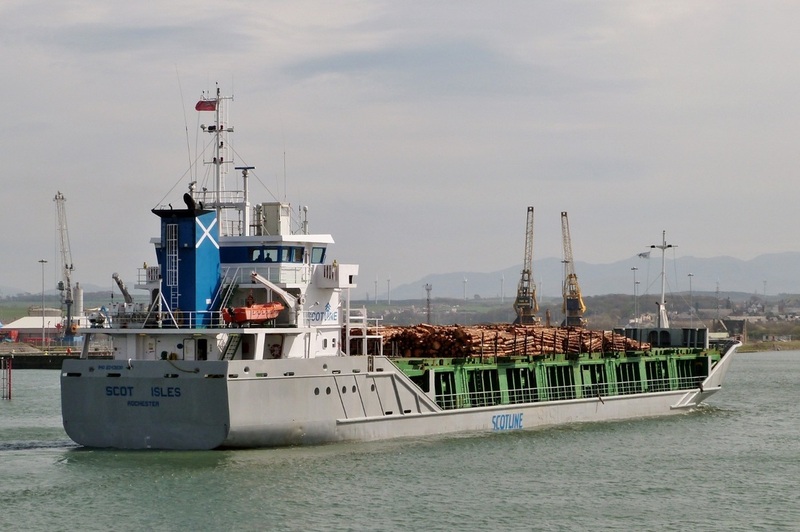 ​ Inbound from Ribadeo, Spain, with bales of bleached wood pulp. 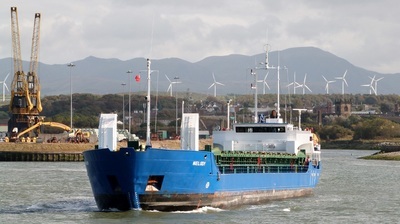 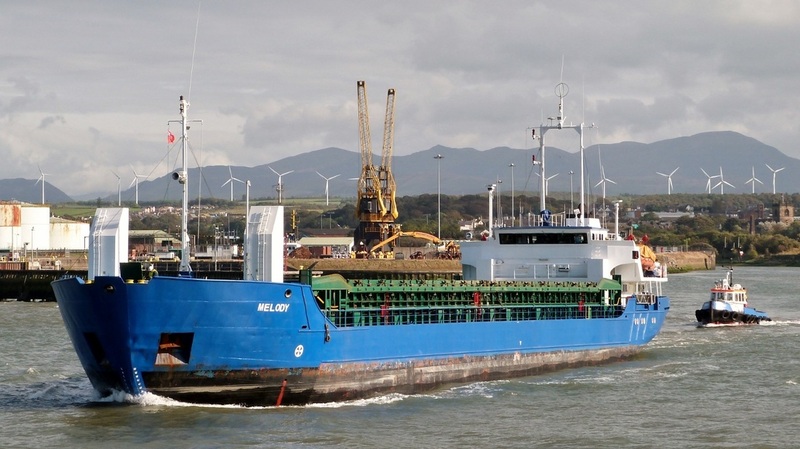 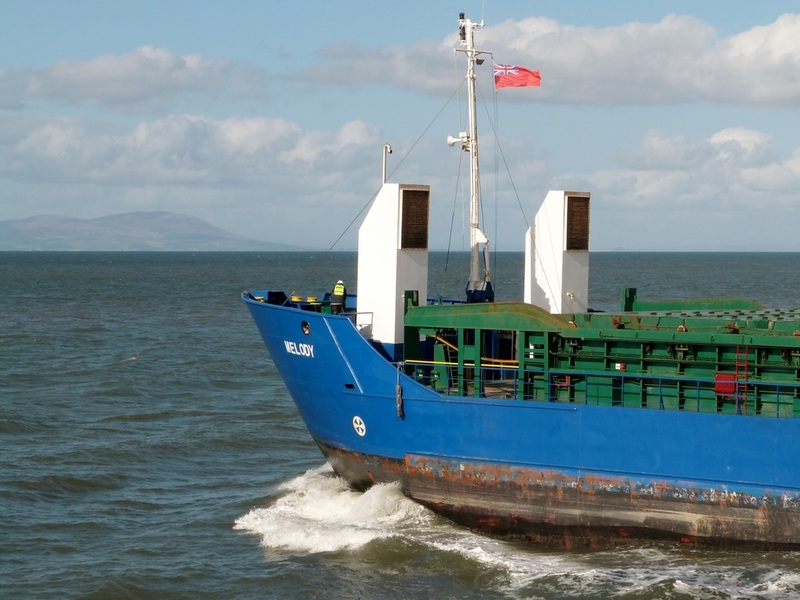 Inbound from Dublin to collect baled waste for export to Latvia where it is used as a power station fuel. 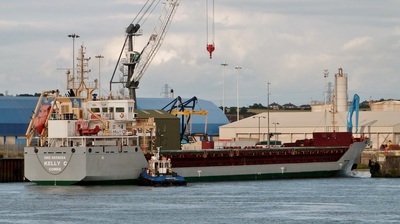 Inbound from Dublin with powdered cement. ​Inbound with timber from Sandbank, Holy Loch. 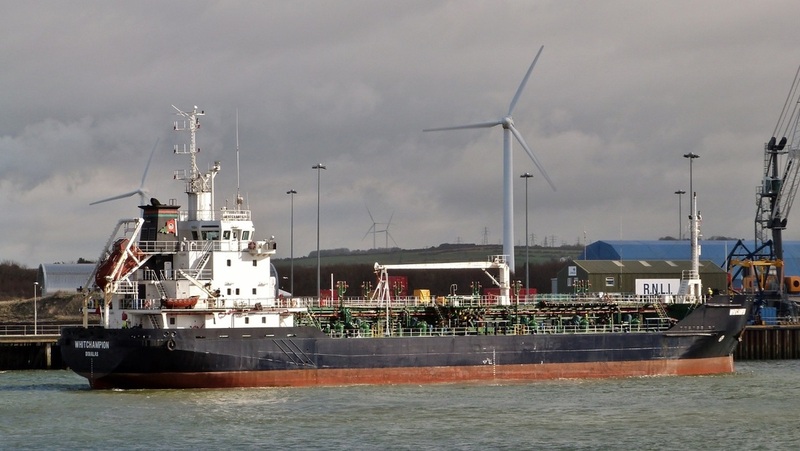 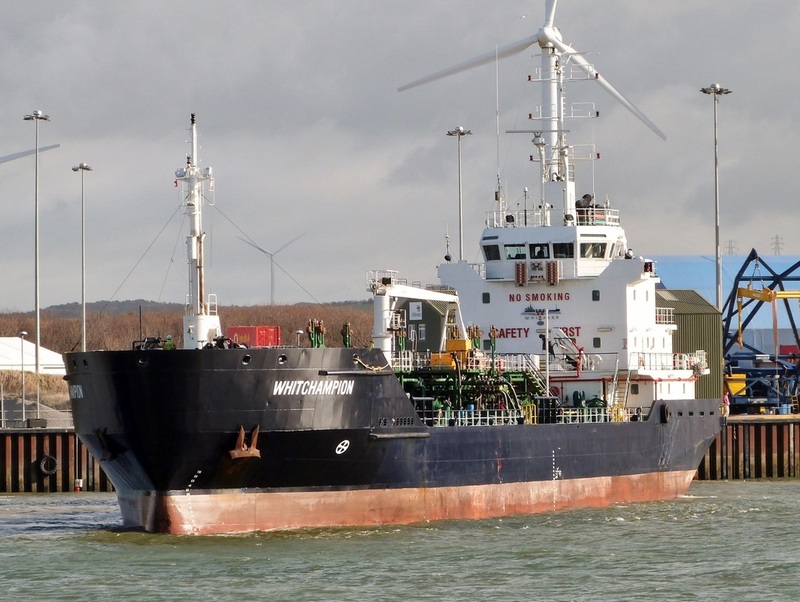 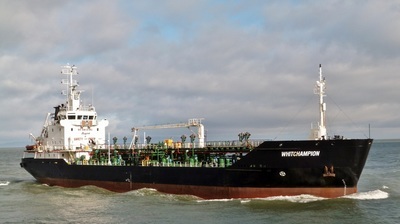 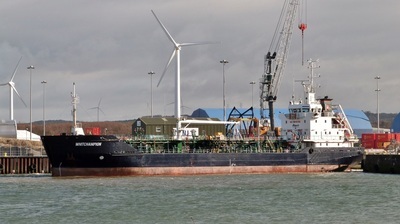 Outbound for Immingham with waste oil products. Outbound for Liepaja, Latvia, with baled waste as dusk approaches. Foggy conditions for the arrival from Ribadeo, Spain, with bales of bleached wood pulp. 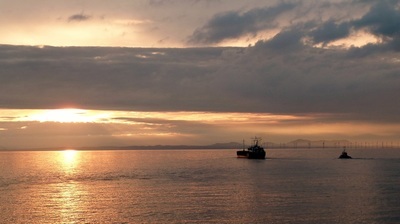 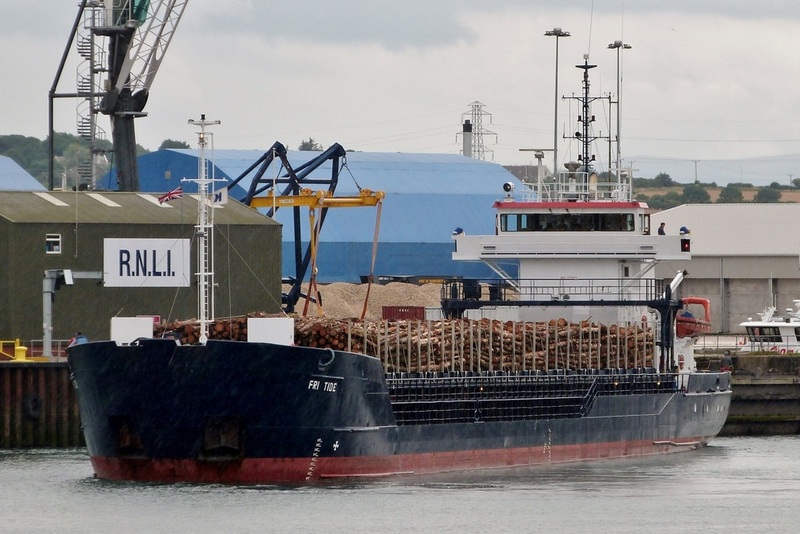 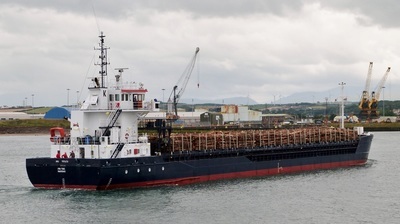 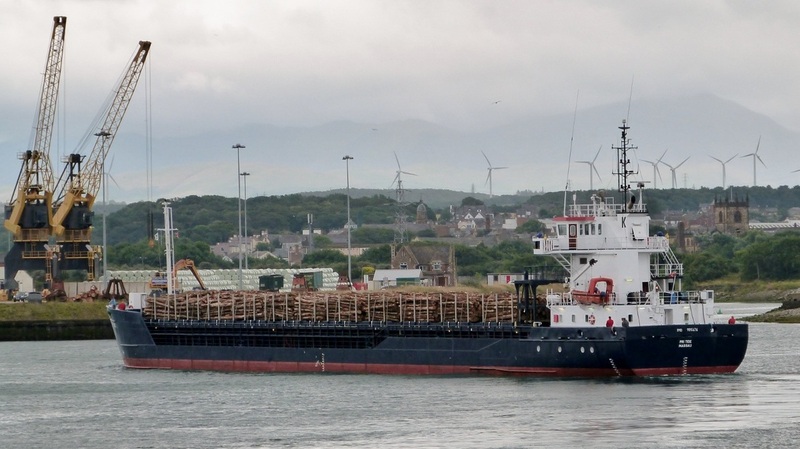 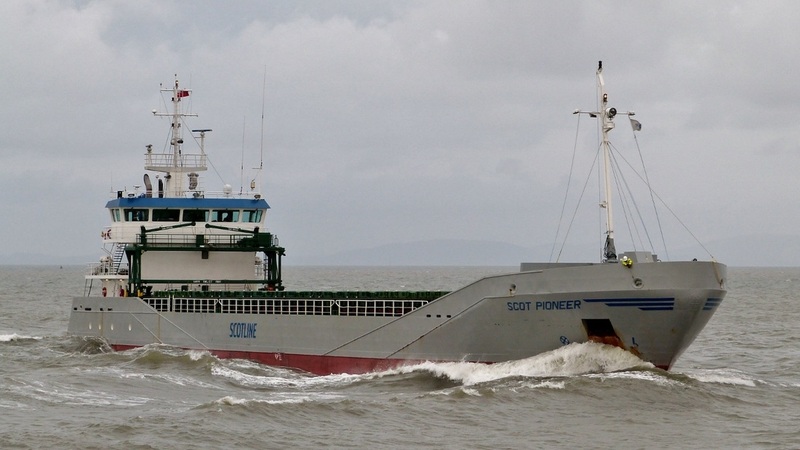 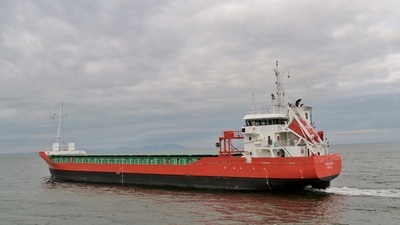 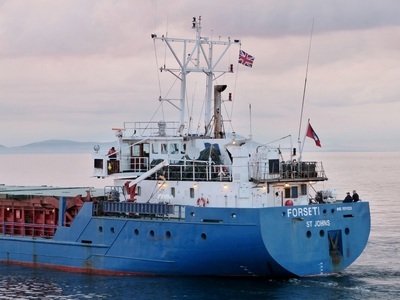 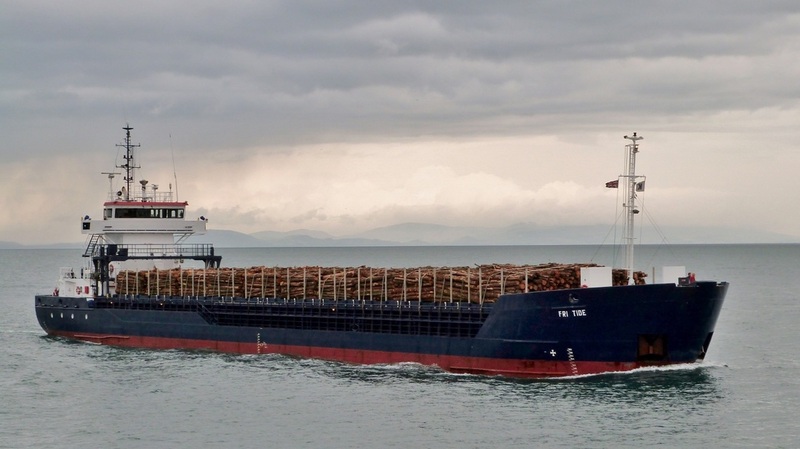 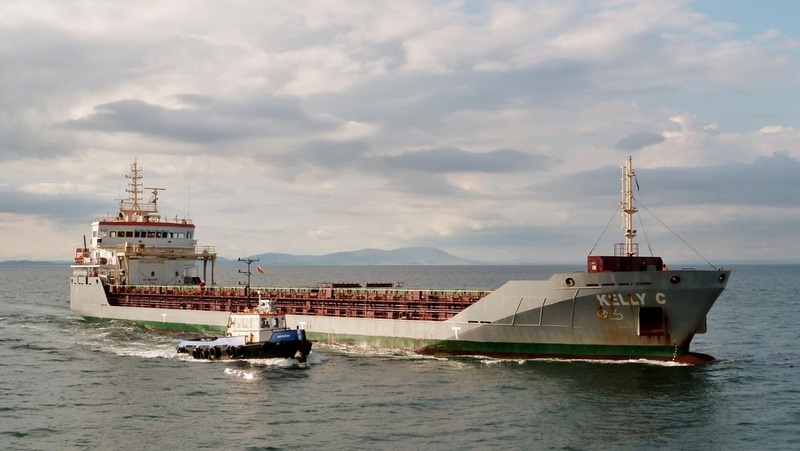 Inbound from Corpach, West Scotland with logs. Inbound from Liverpool to collect baled waste. Inbound with gypsum from Tarragona, Spain. 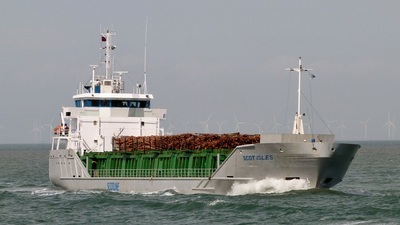 Inbound from Fishnish, Isle of Mull, with timber raw materials. Inbound from Dublin with peat. 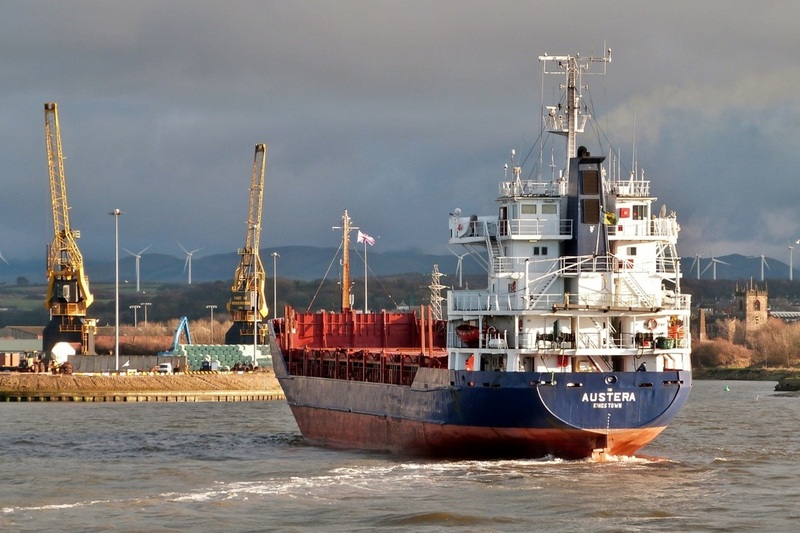 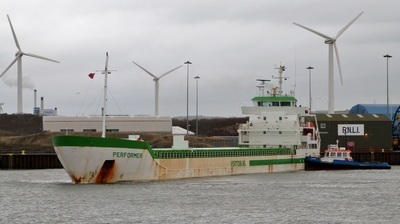 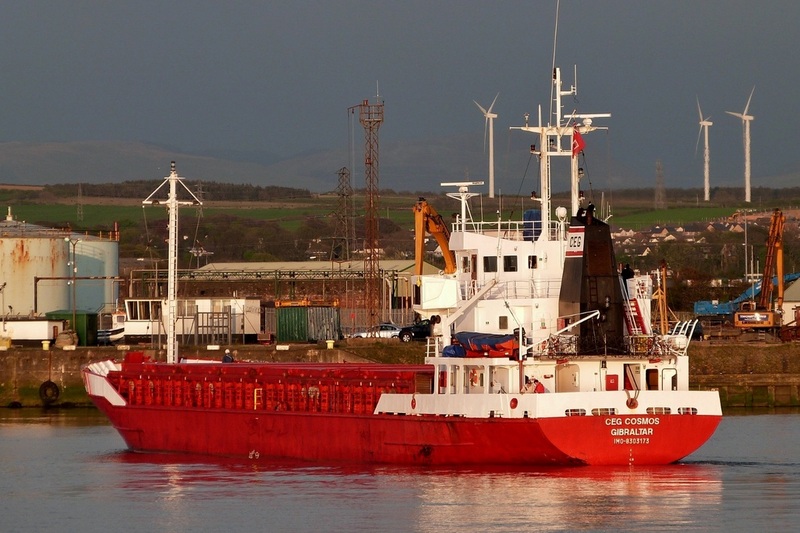 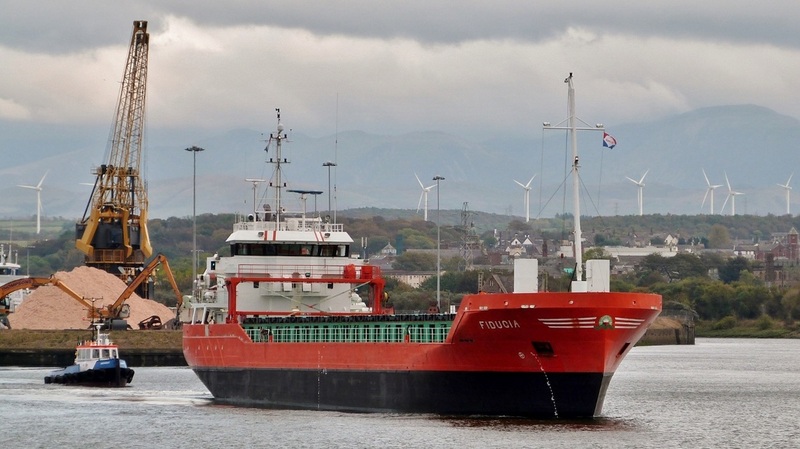 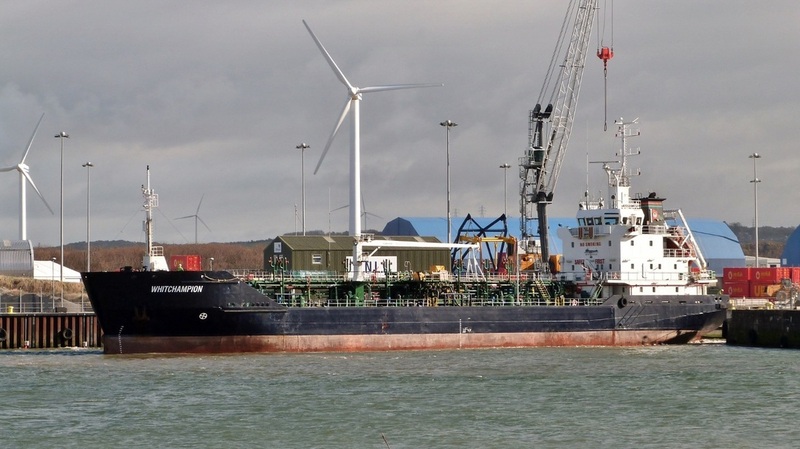 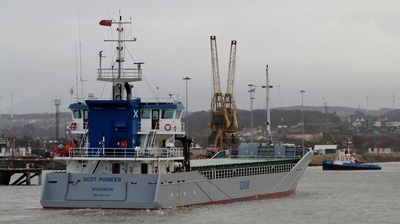 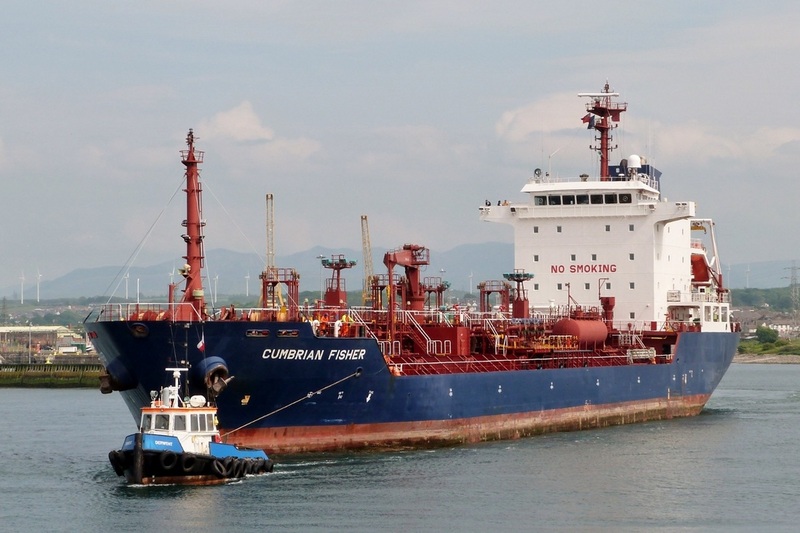 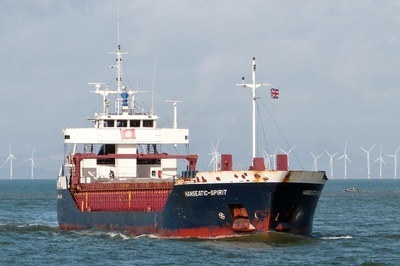 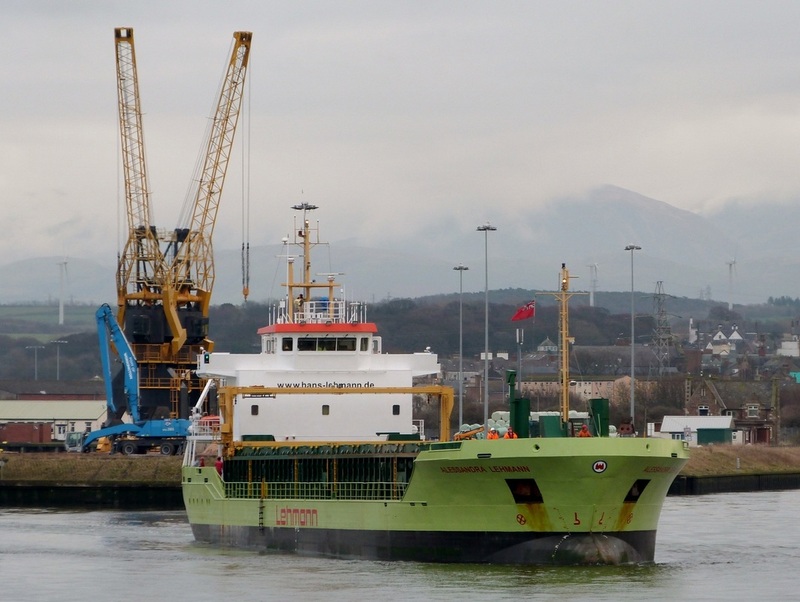 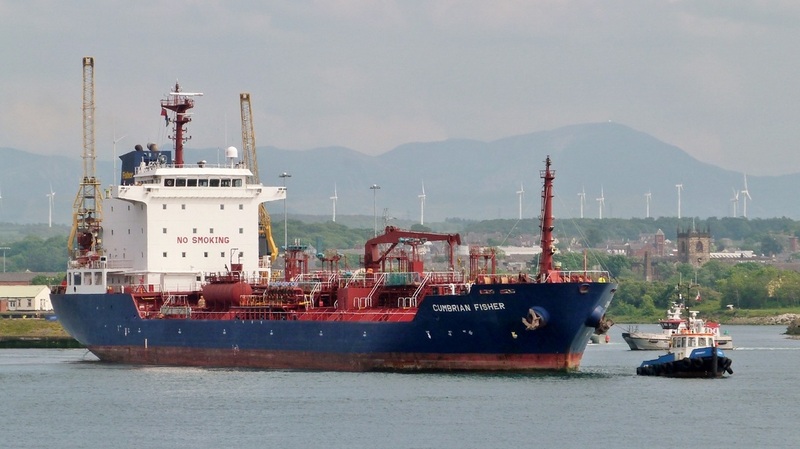 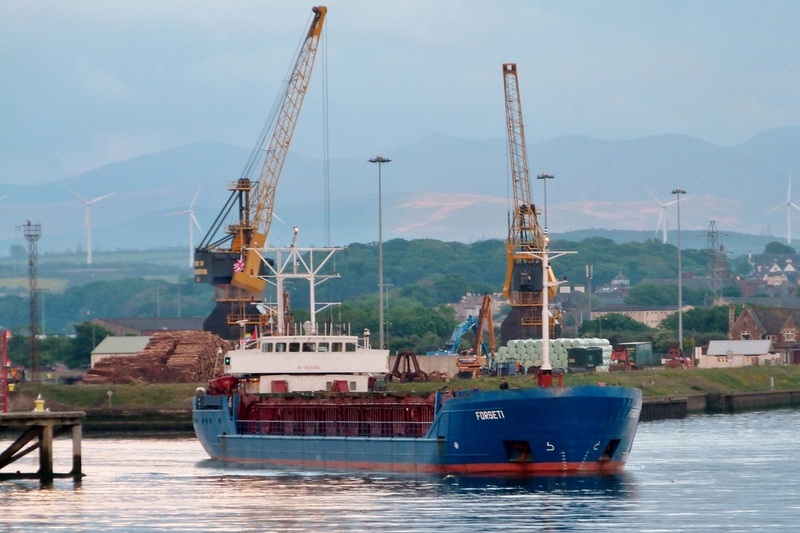 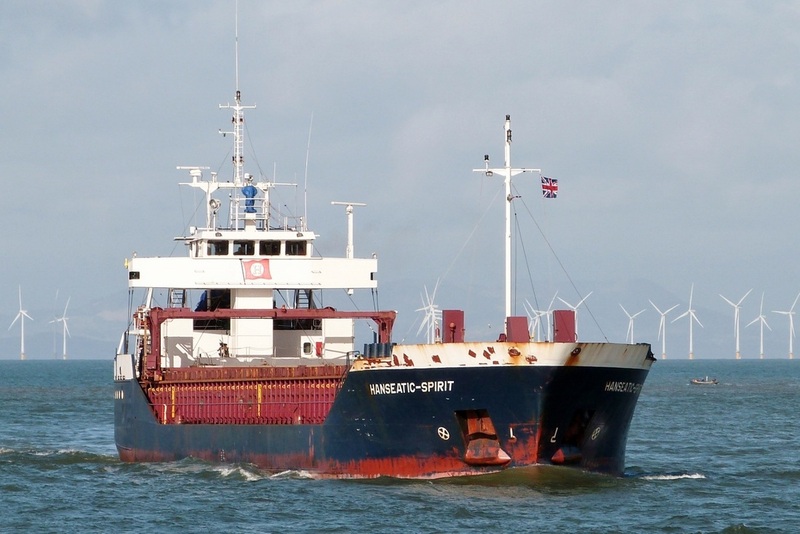 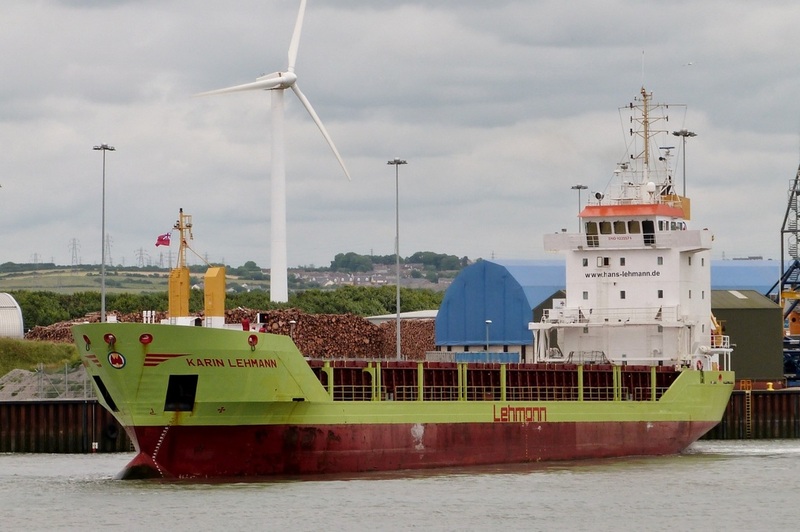 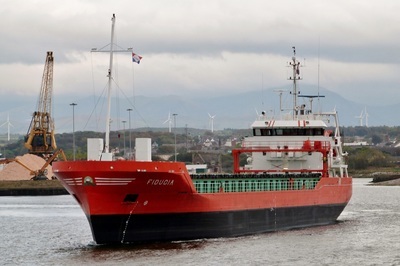 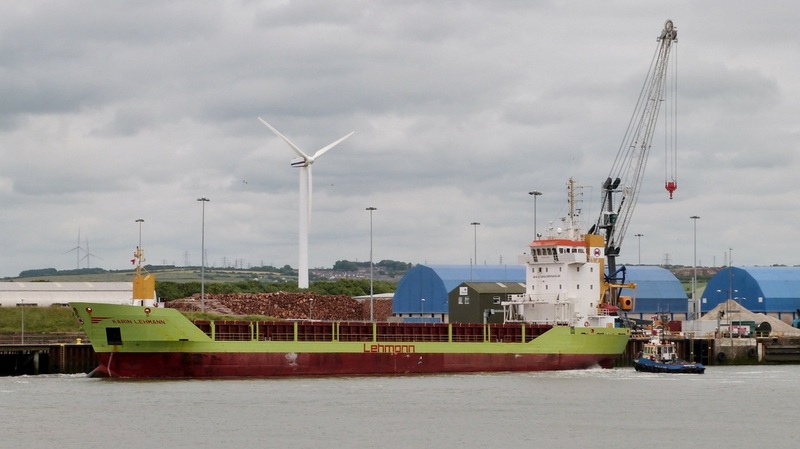 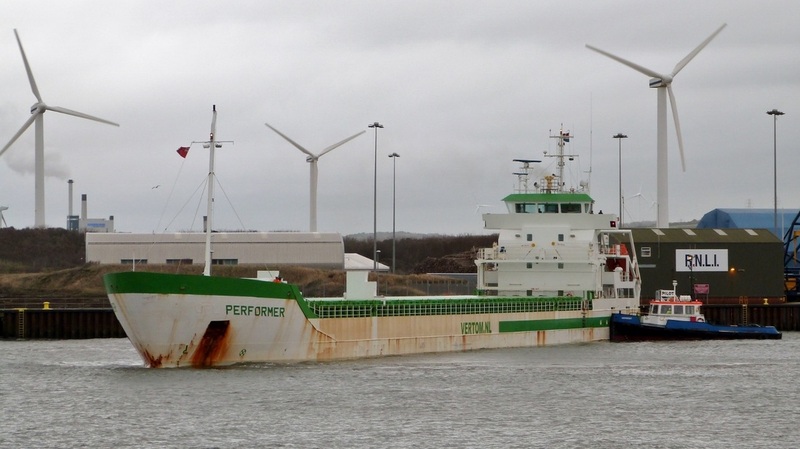 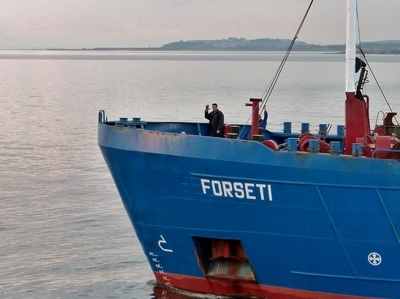 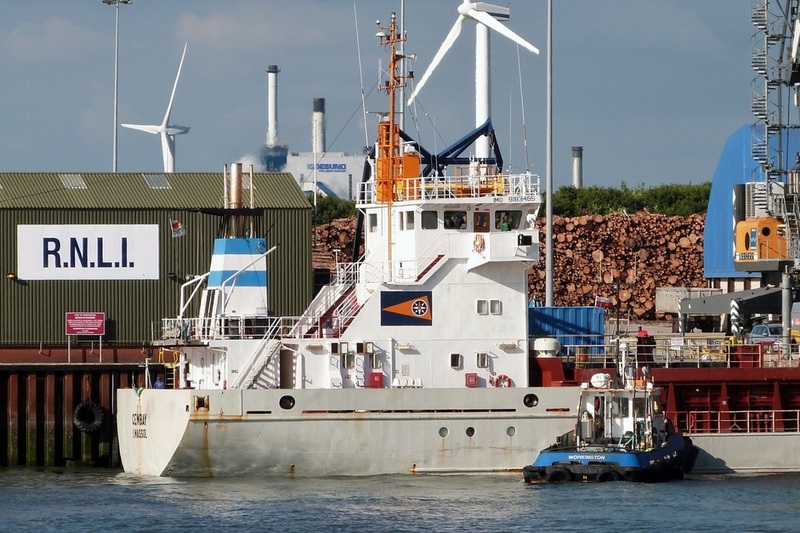 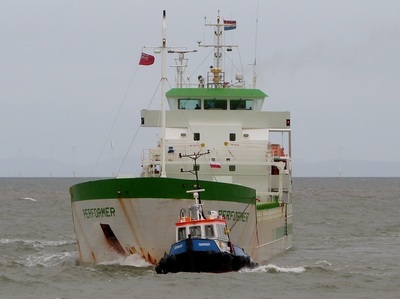 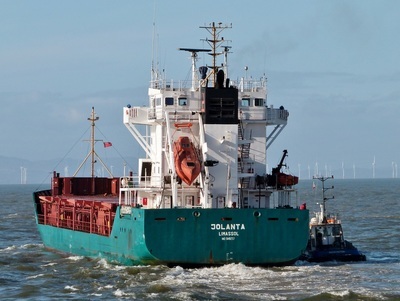 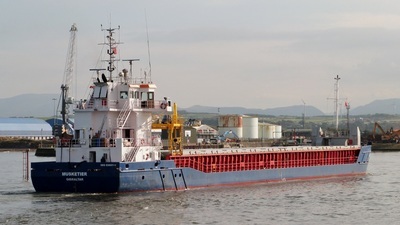 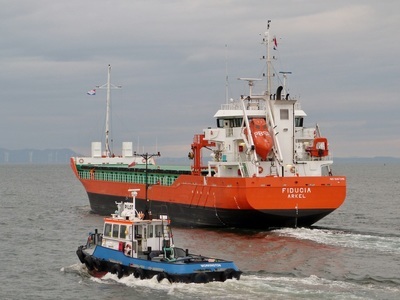 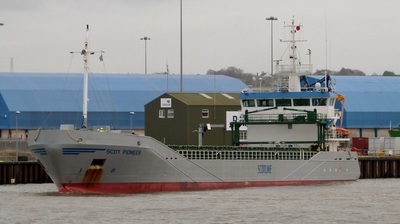 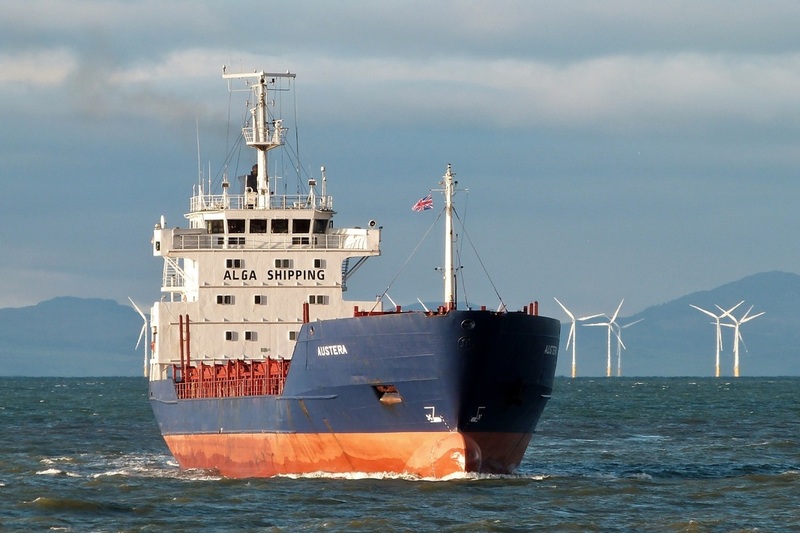 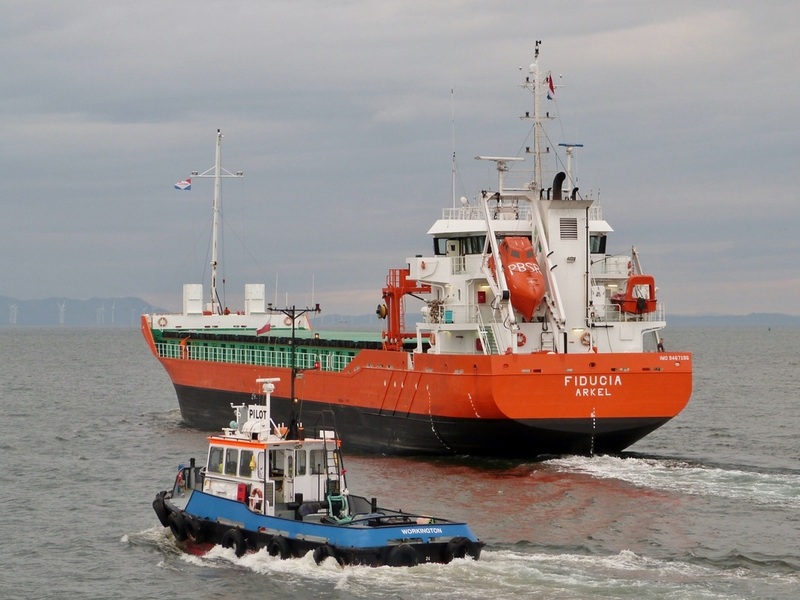 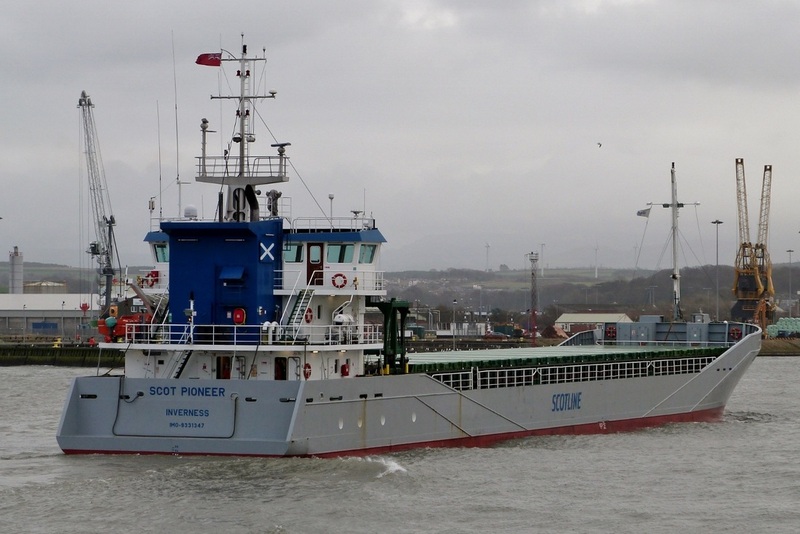 Inbound from Ellesmere Port to collect waste oil. 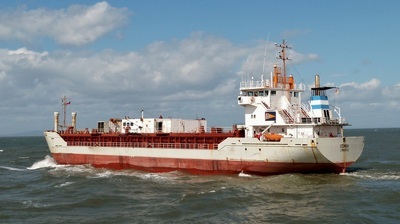 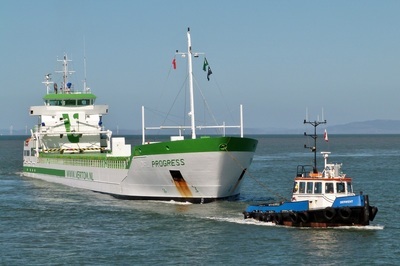 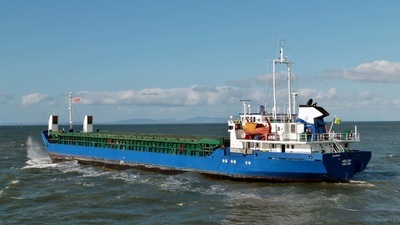 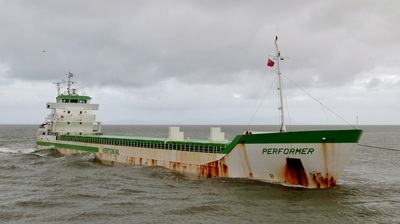 Inbound with peat from Dublin, Ireland. 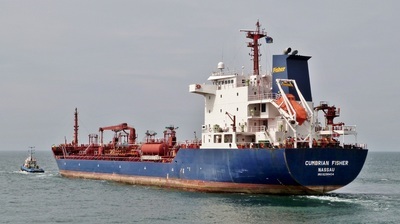 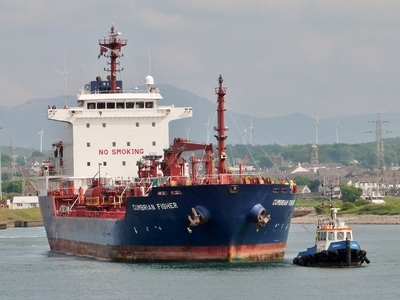 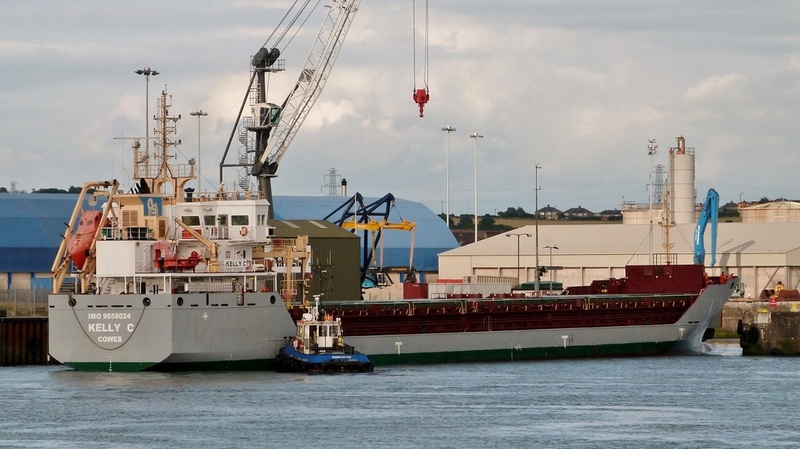 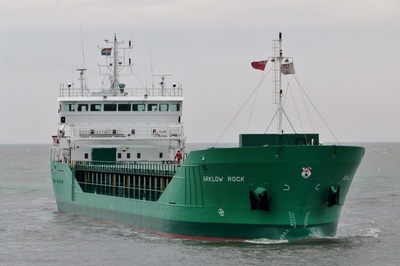 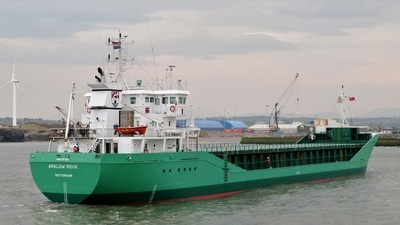 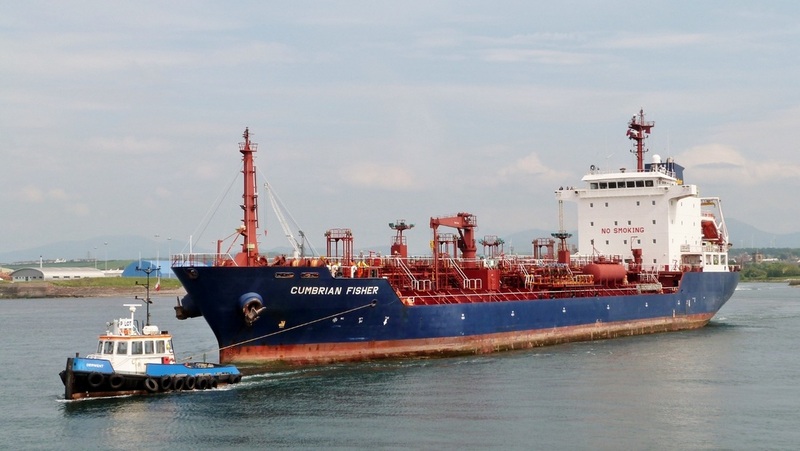 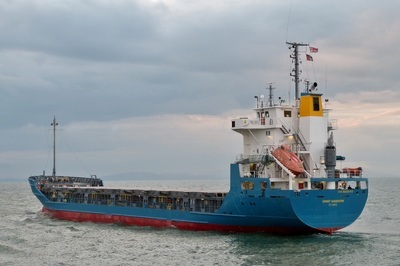 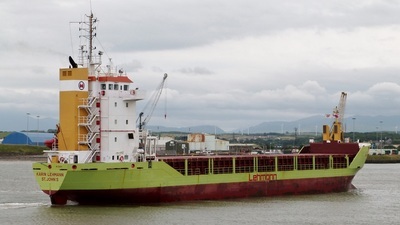 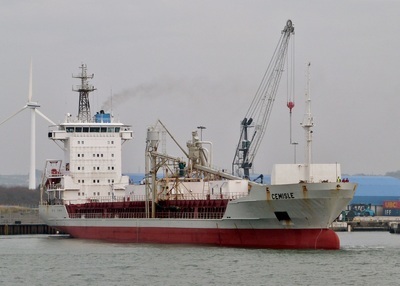 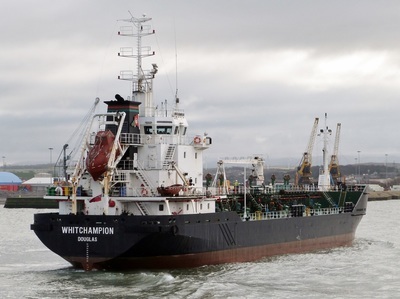 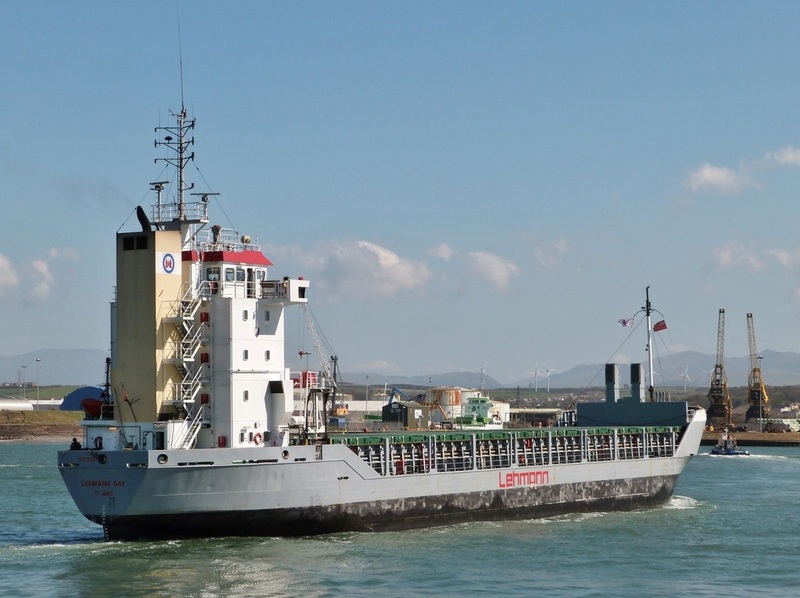 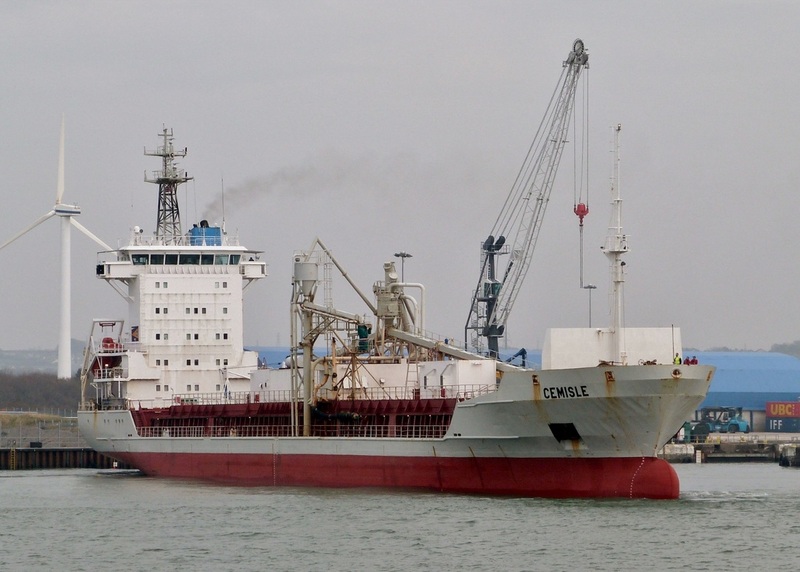 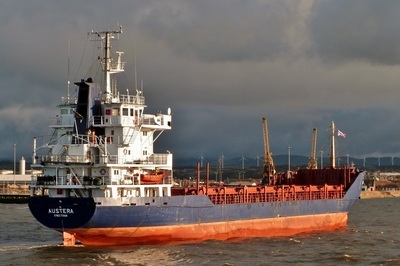 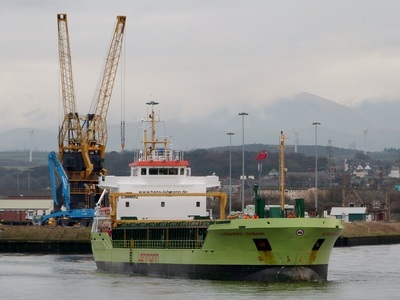 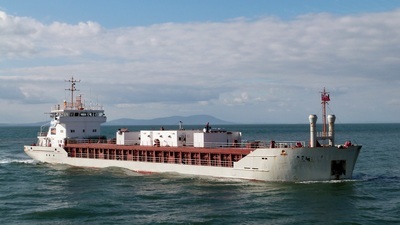 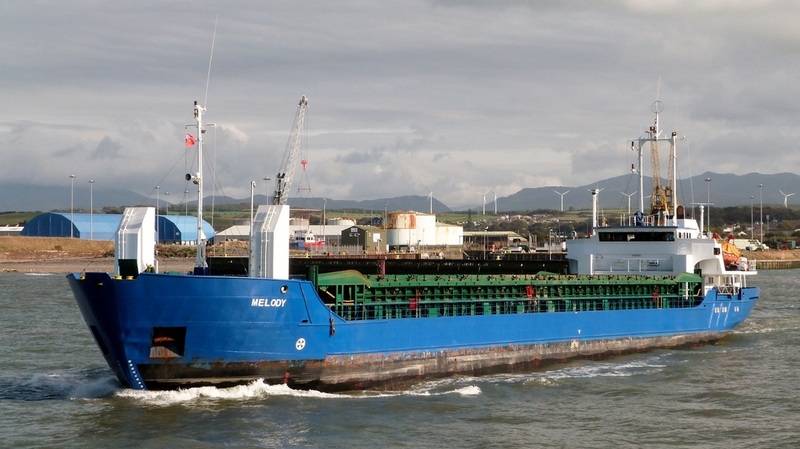 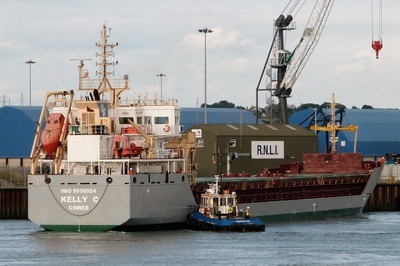 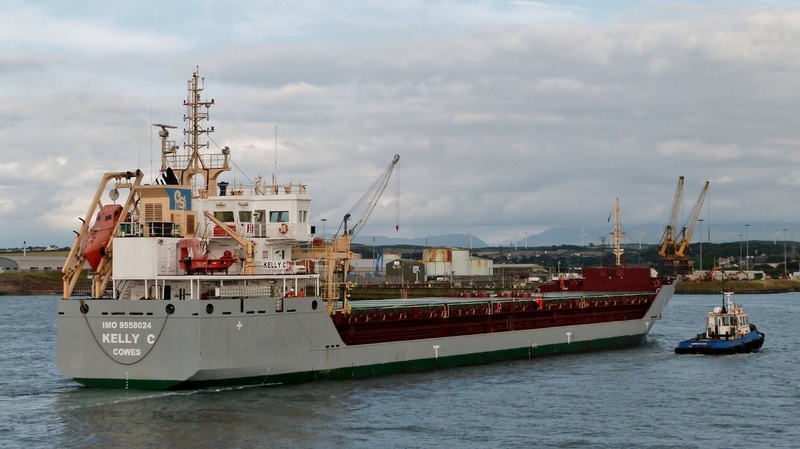 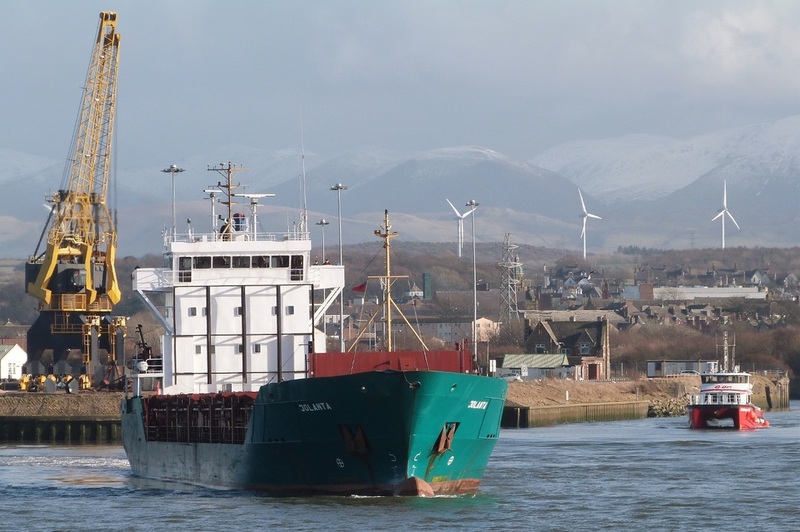 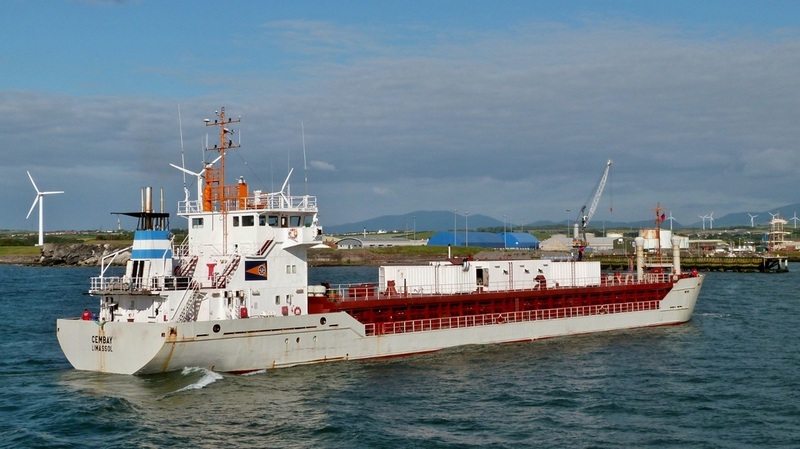 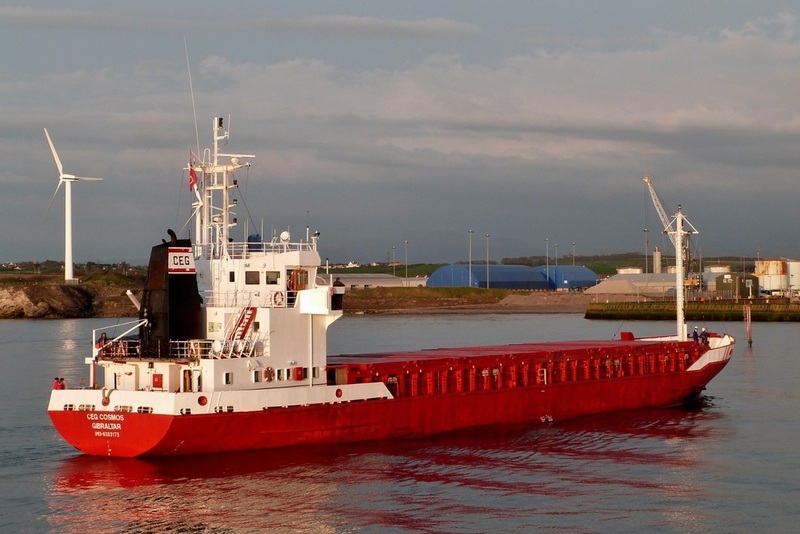 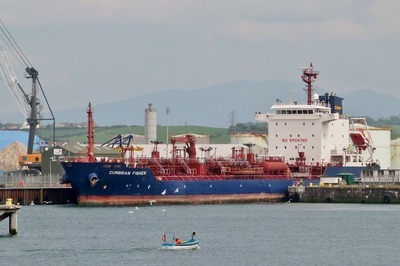 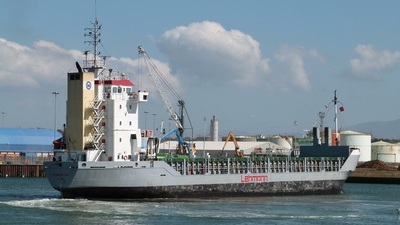 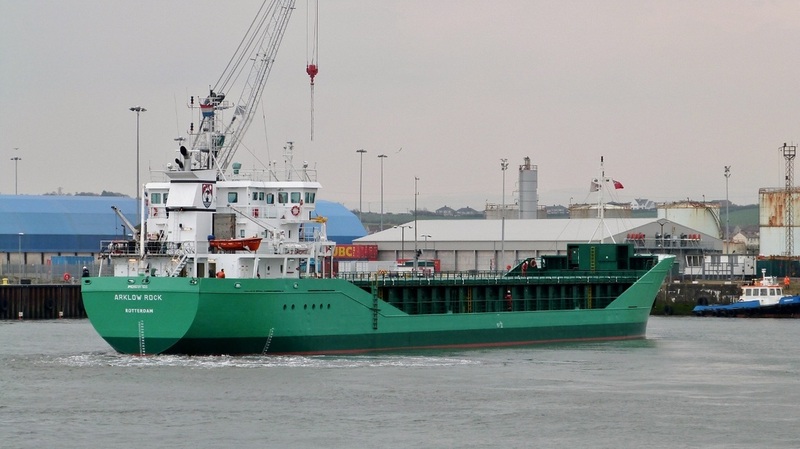 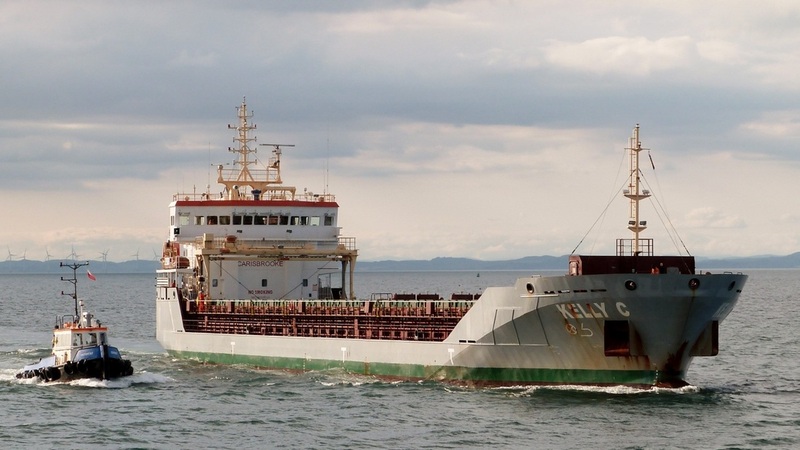 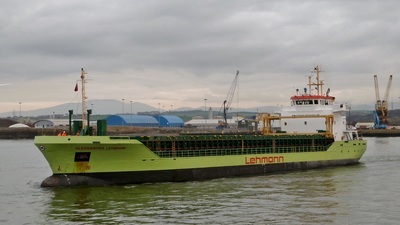 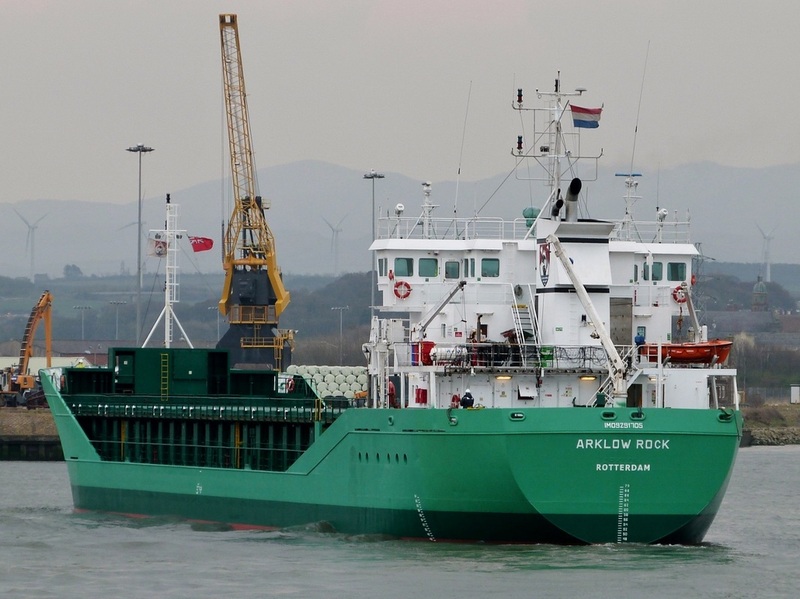 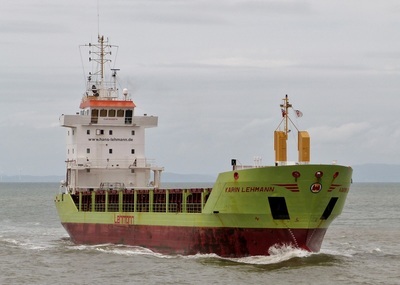 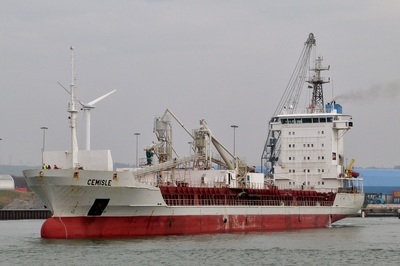 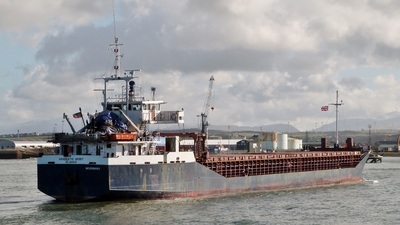 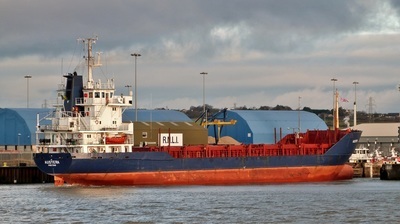 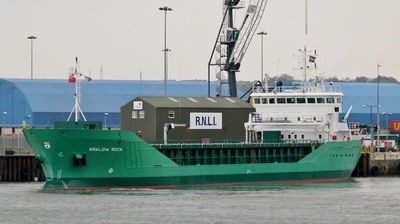 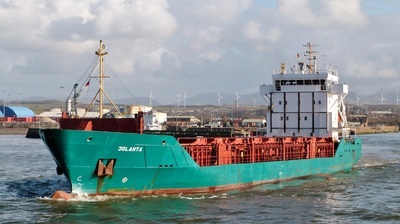 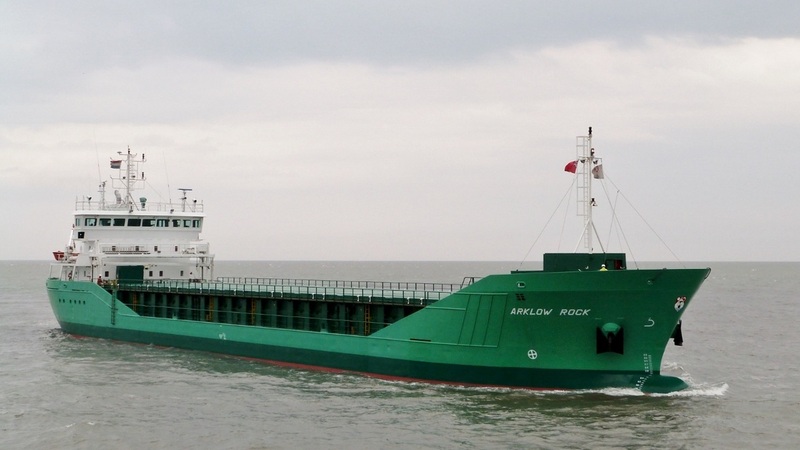 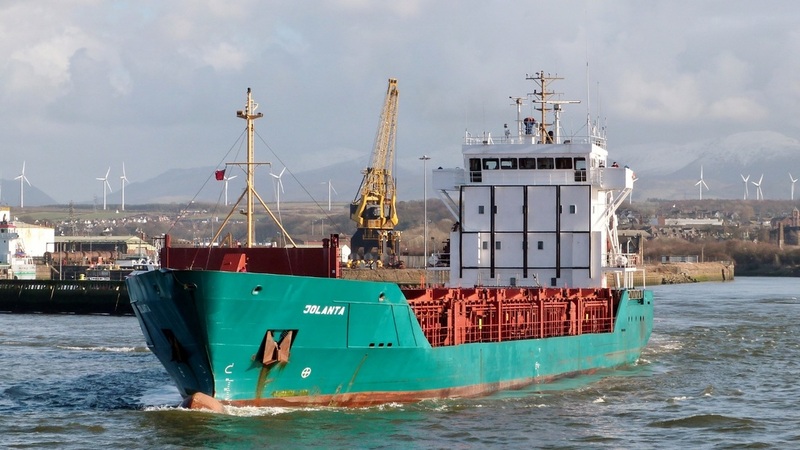 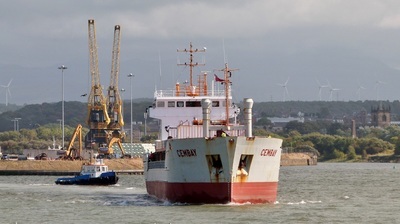 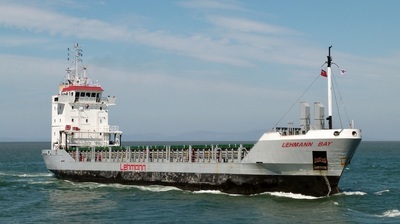 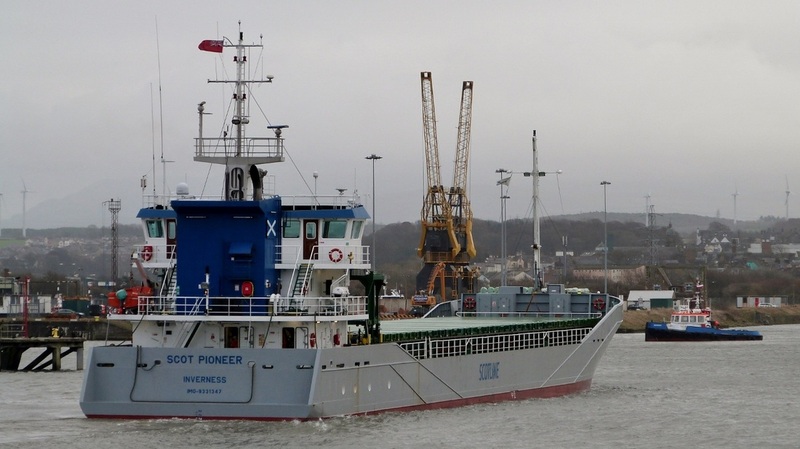 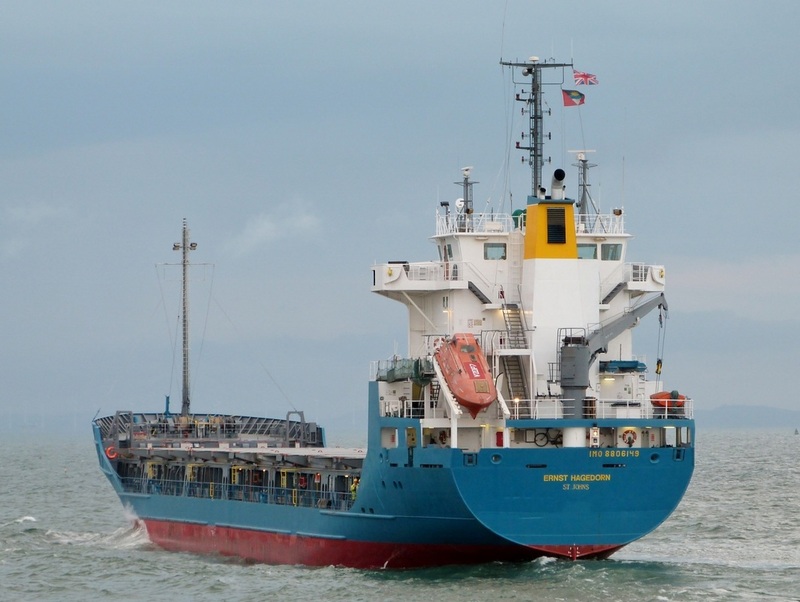 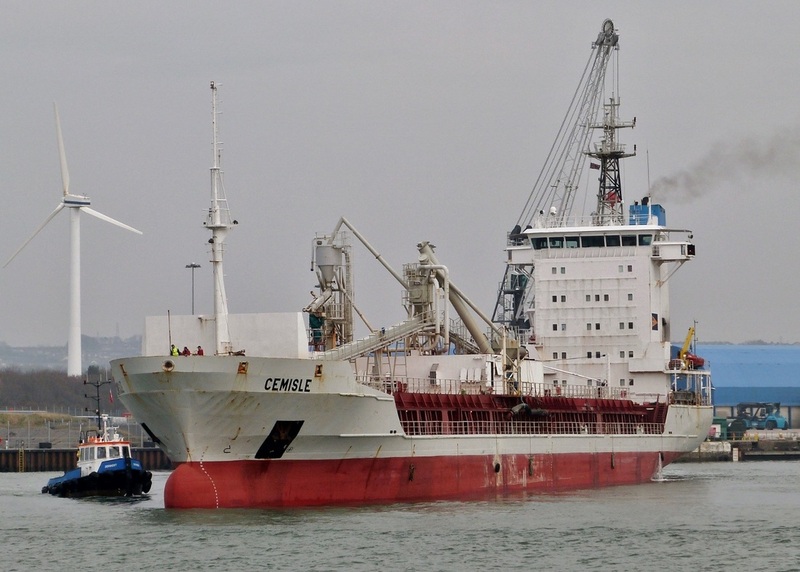 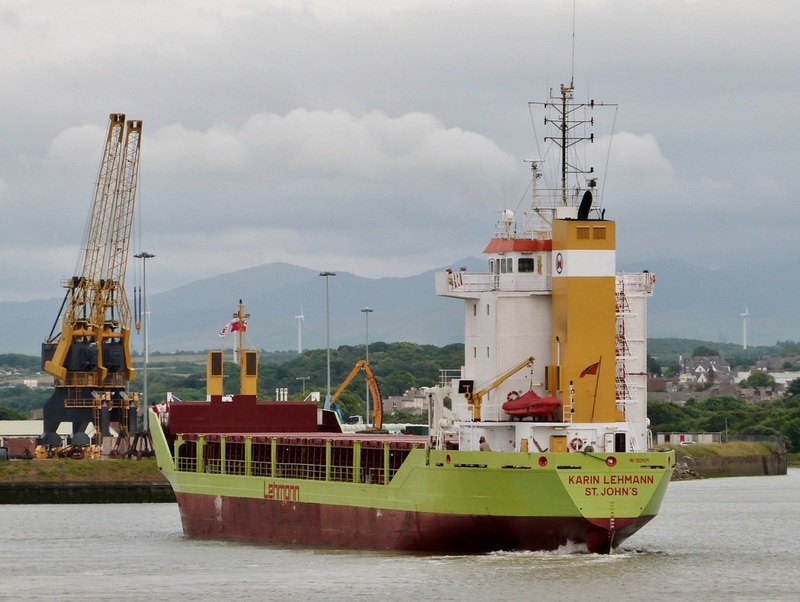 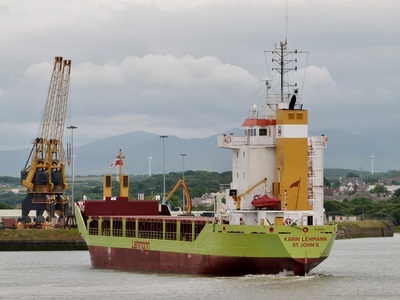 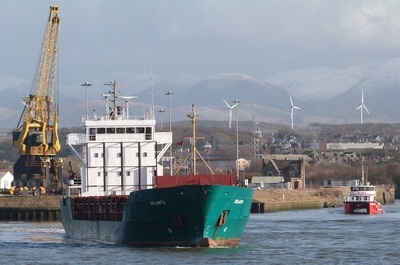 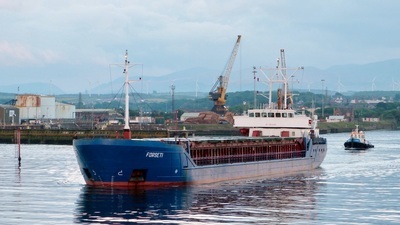 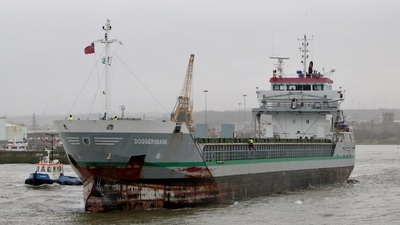 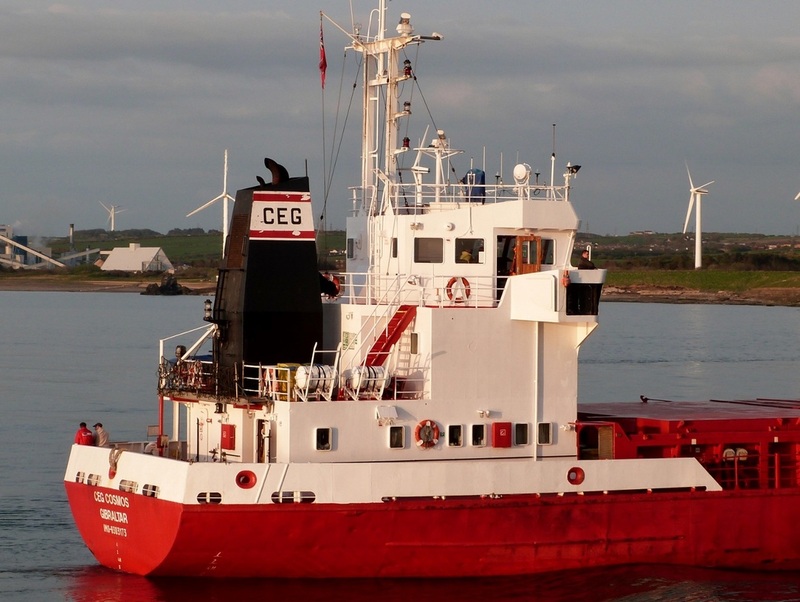 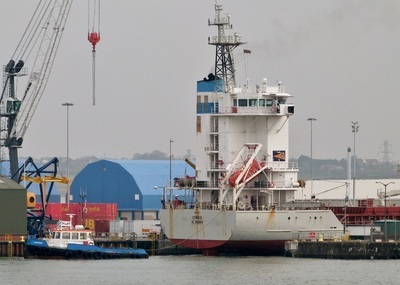 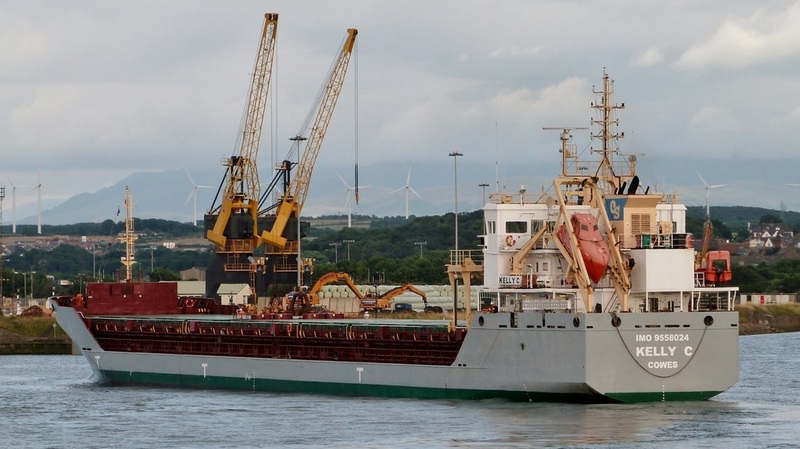 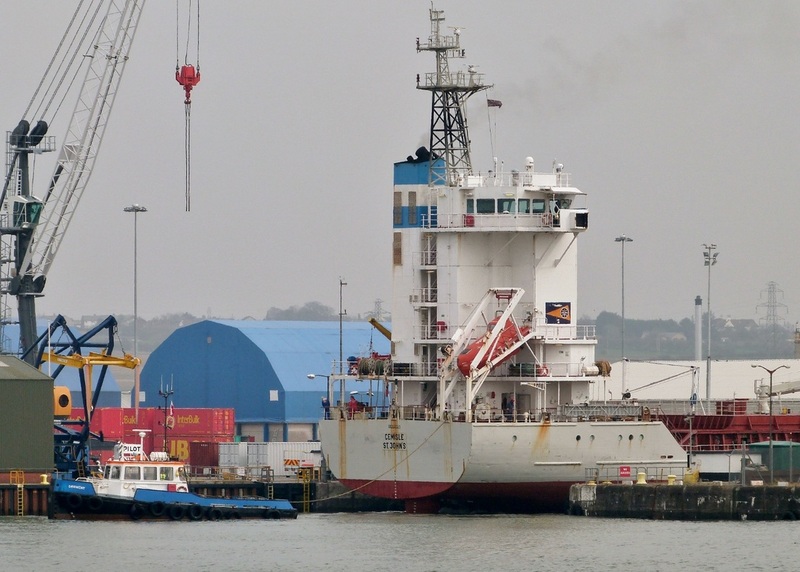 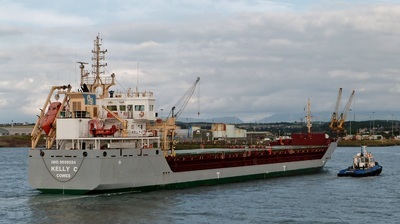 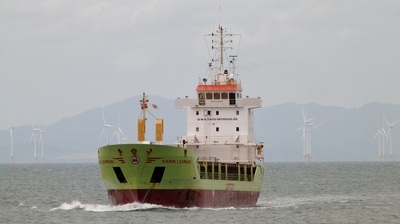 Outbound for Cork, Ireland in ballast. 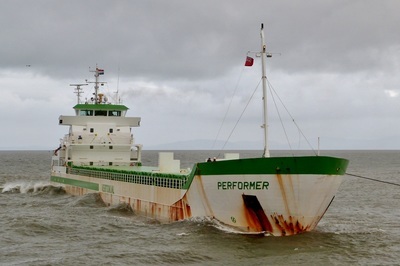 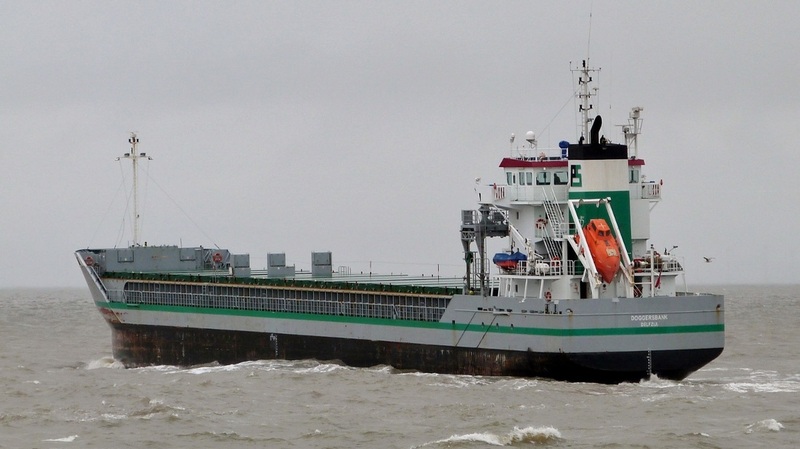 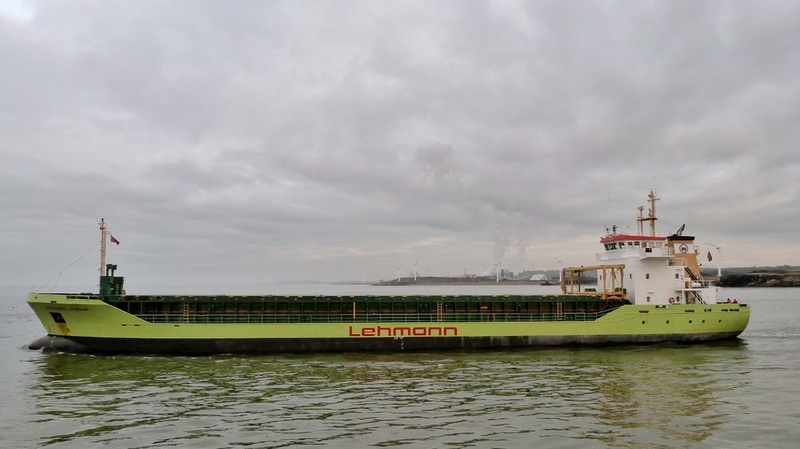 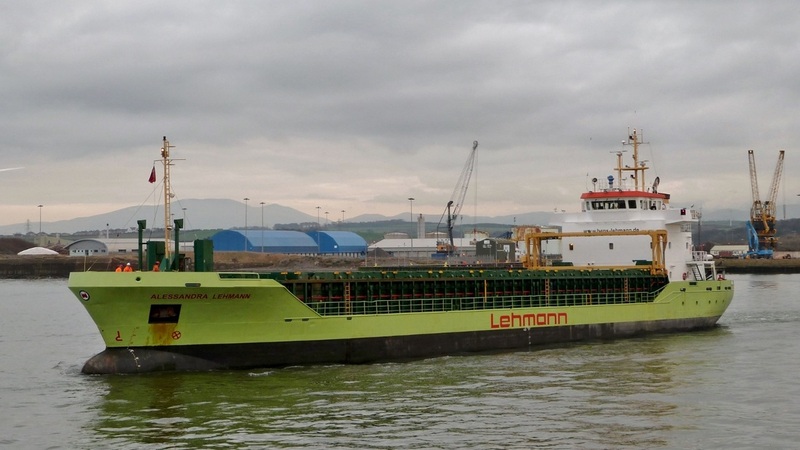 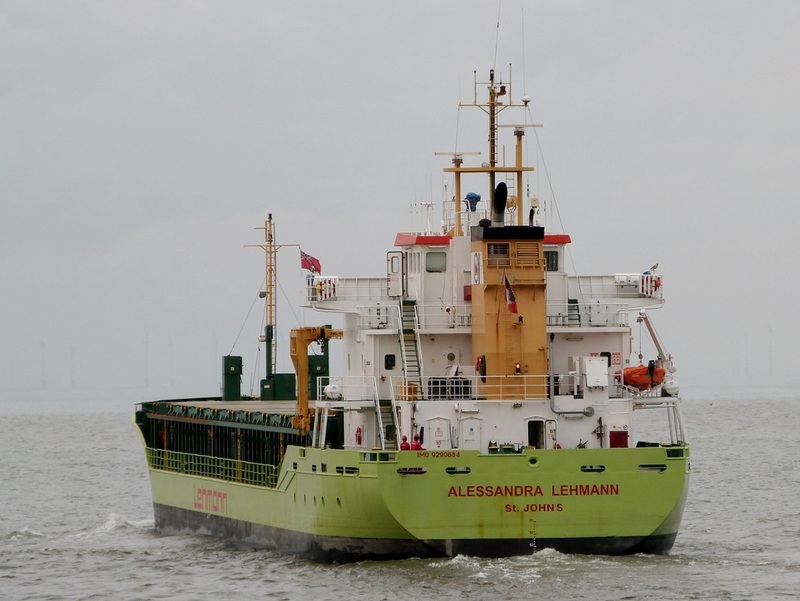 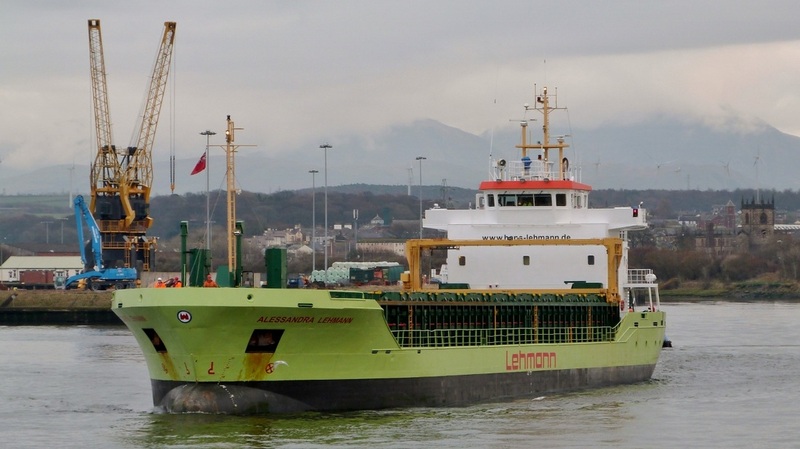 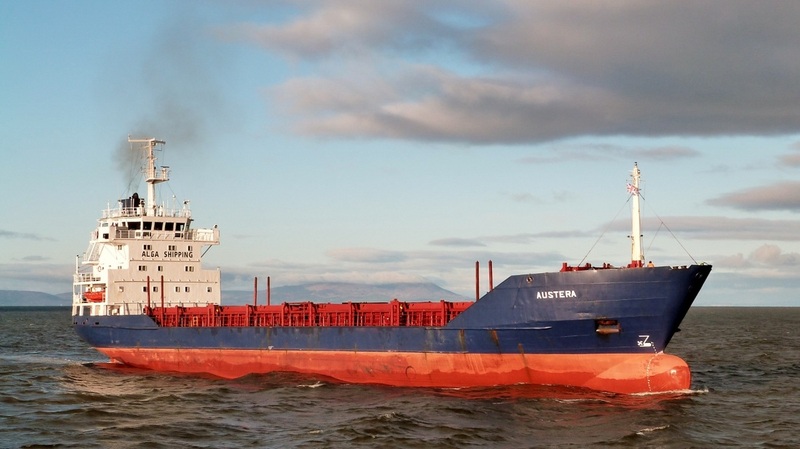 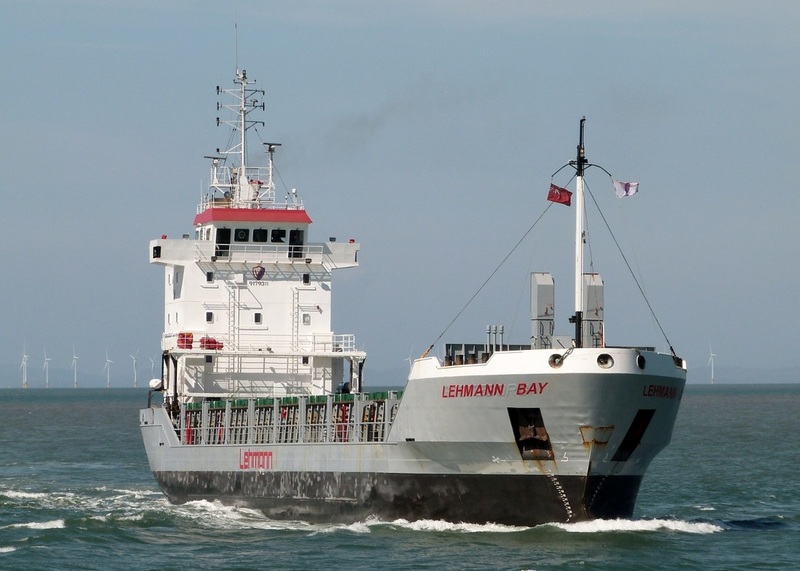 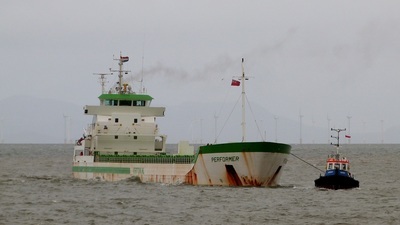 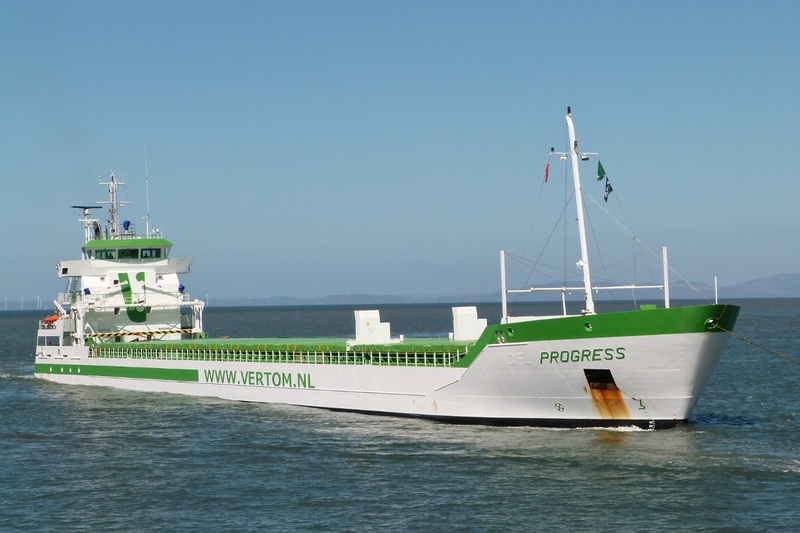 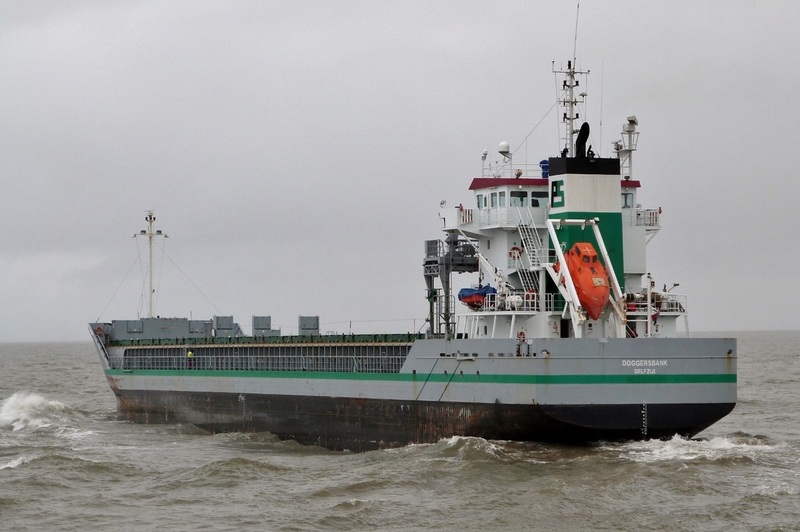 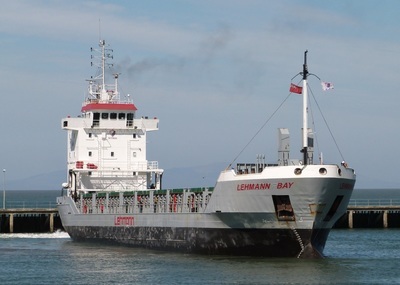 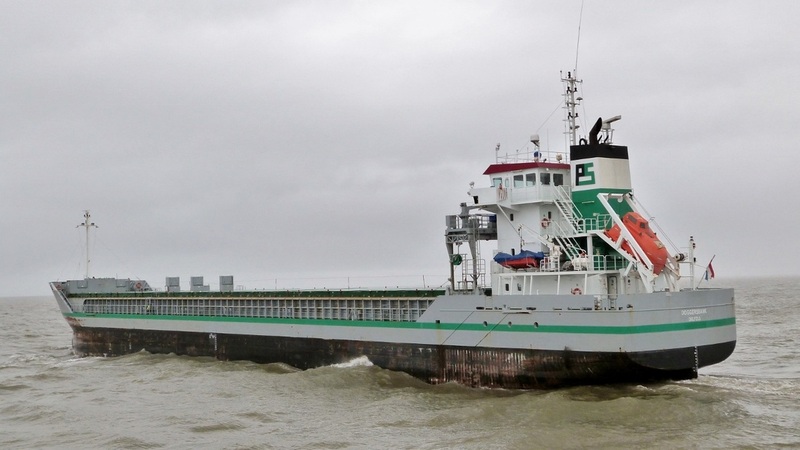 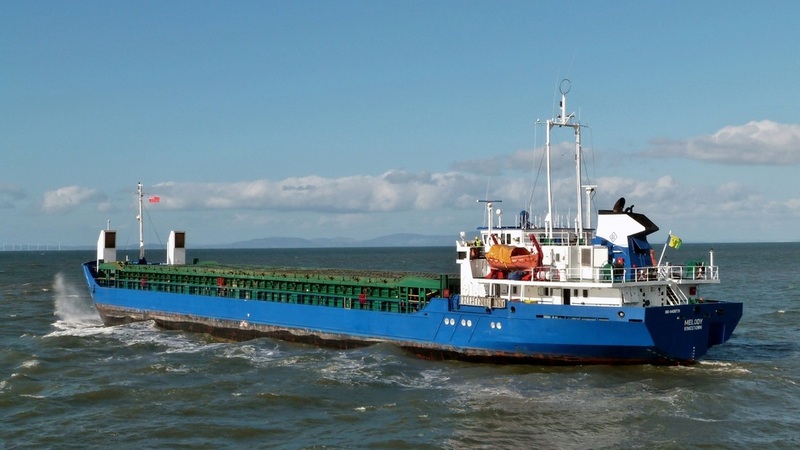 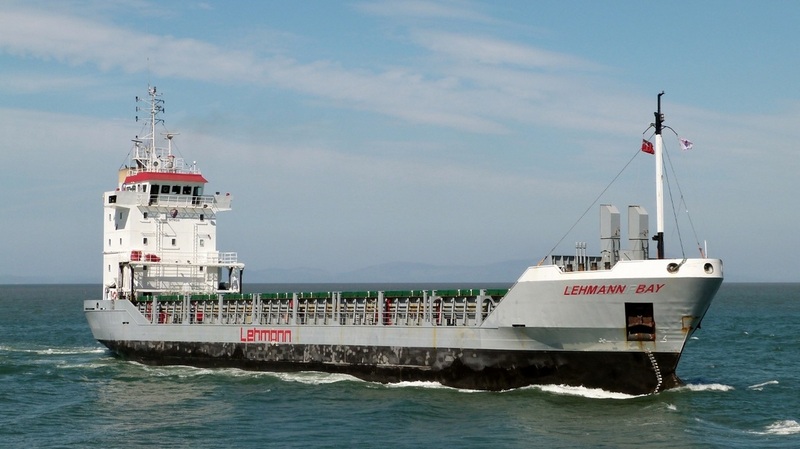 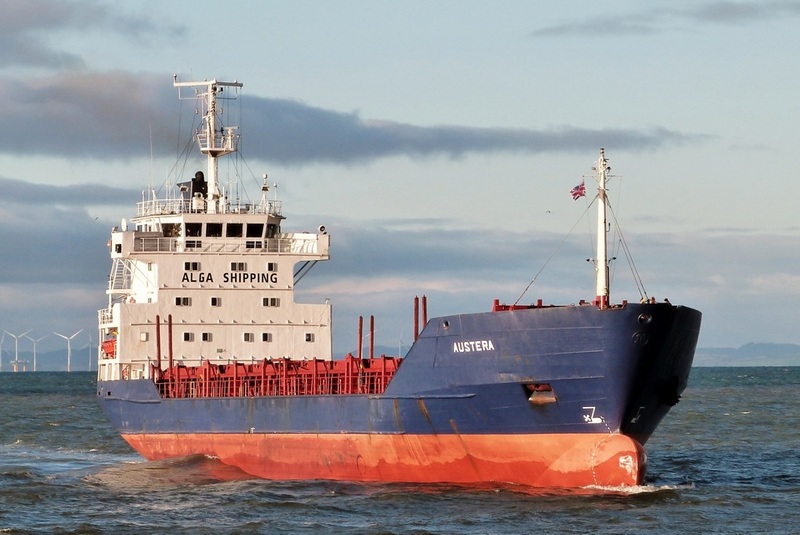 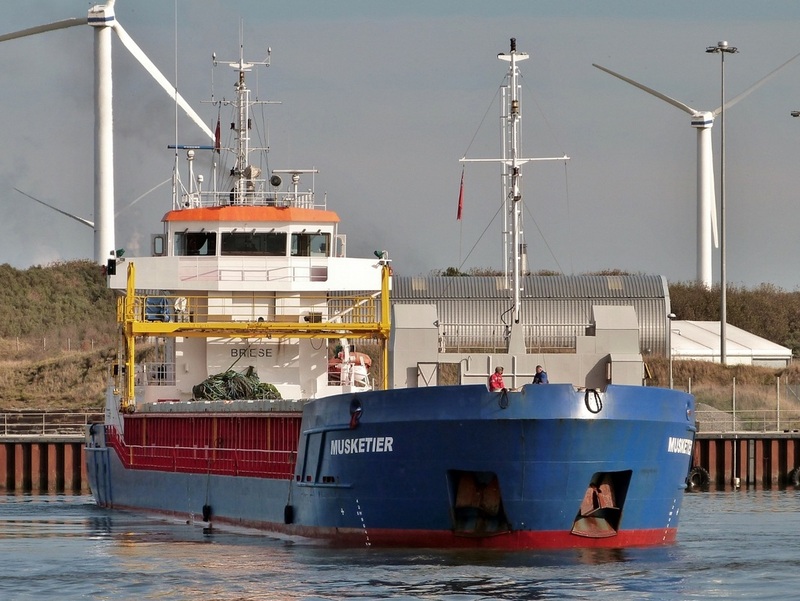 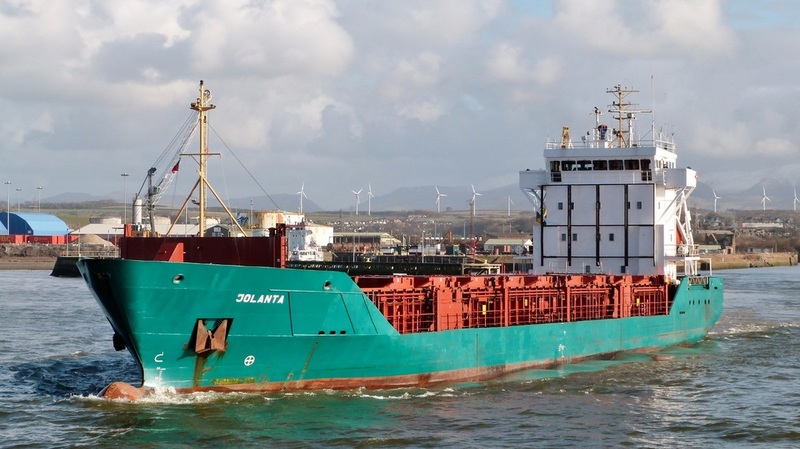 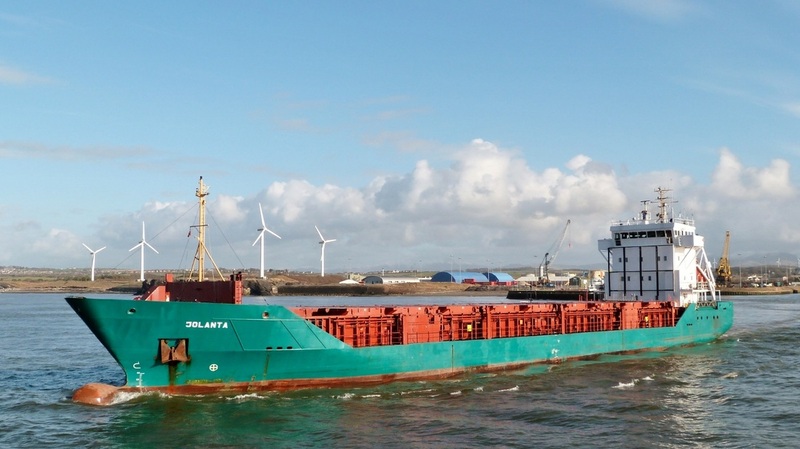 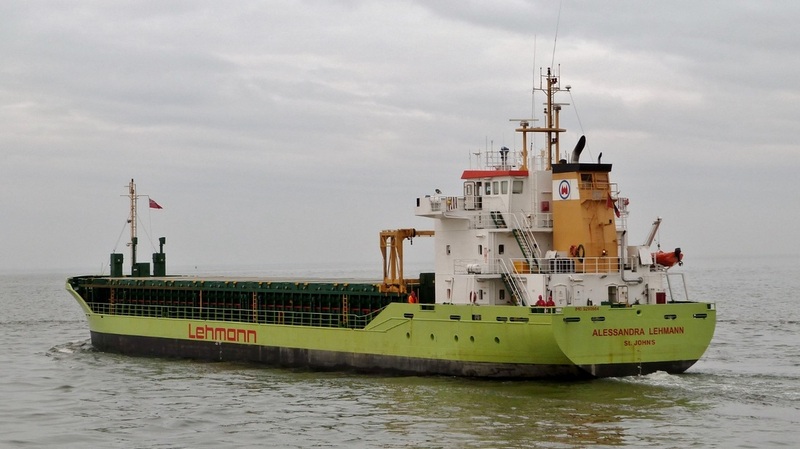 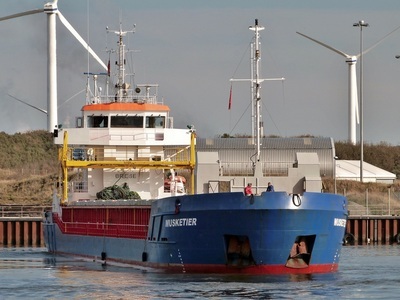 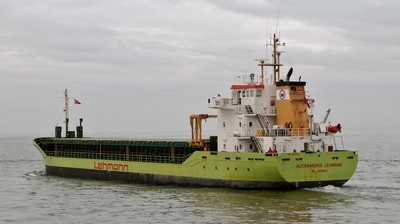 Outbound for Liepaja, Latvia with baled recycled waste for use in power generation.